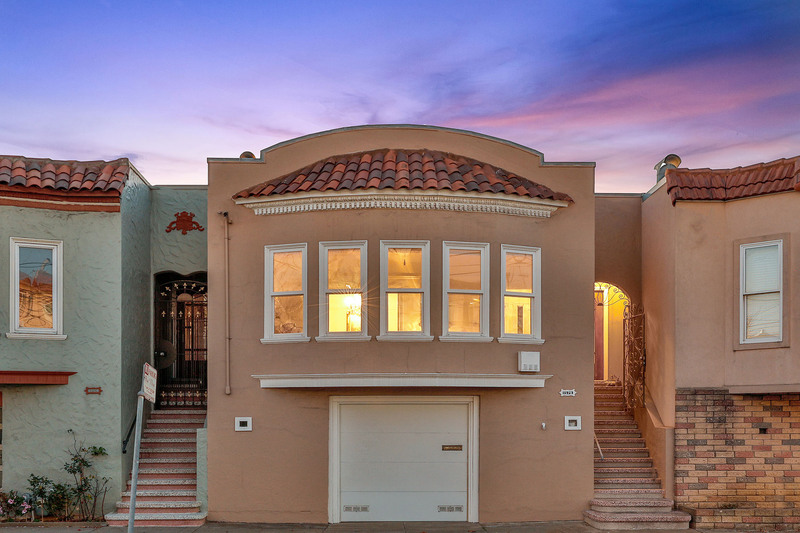 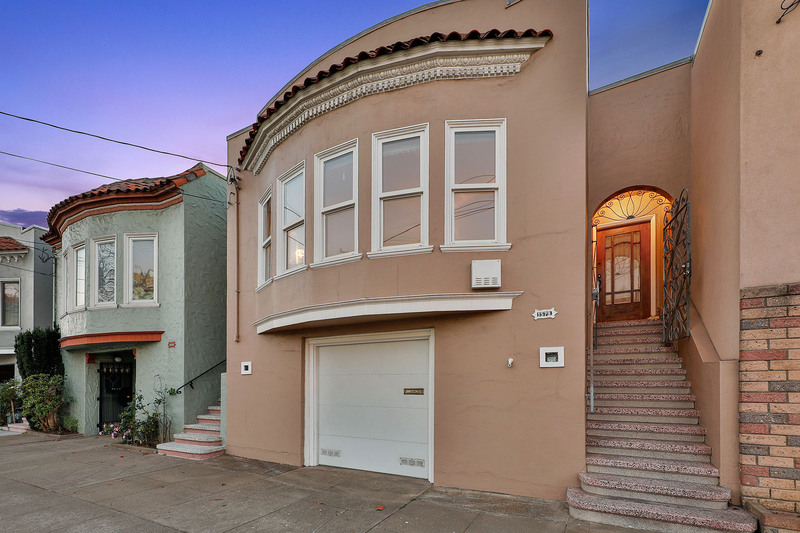 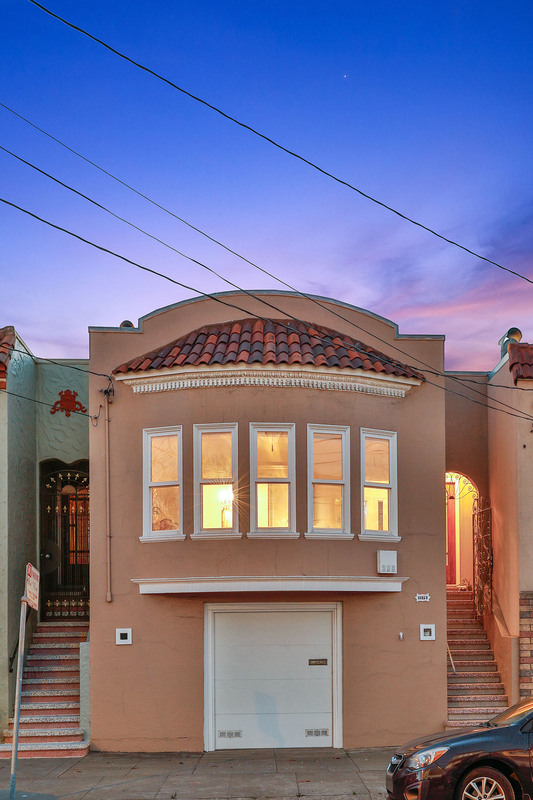 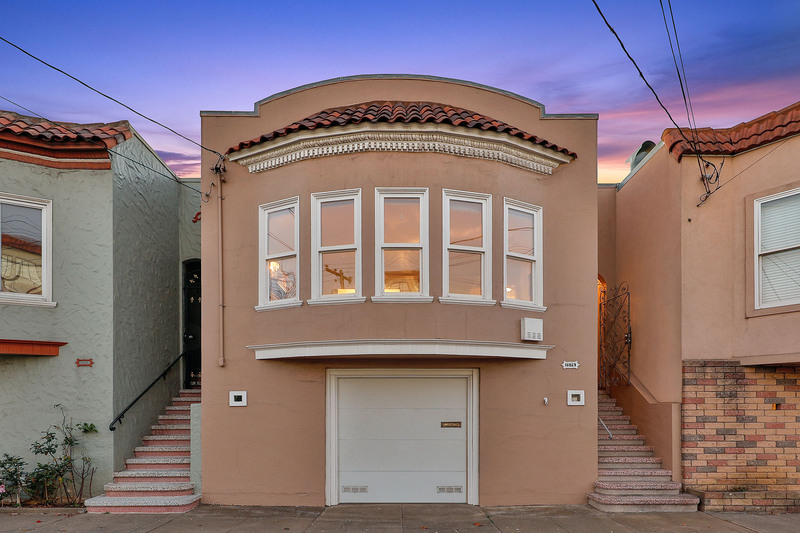 First time on the market in over 40 years, this traditional barrel front home is located on a pretty tree-lined block of the Inner Sunset. 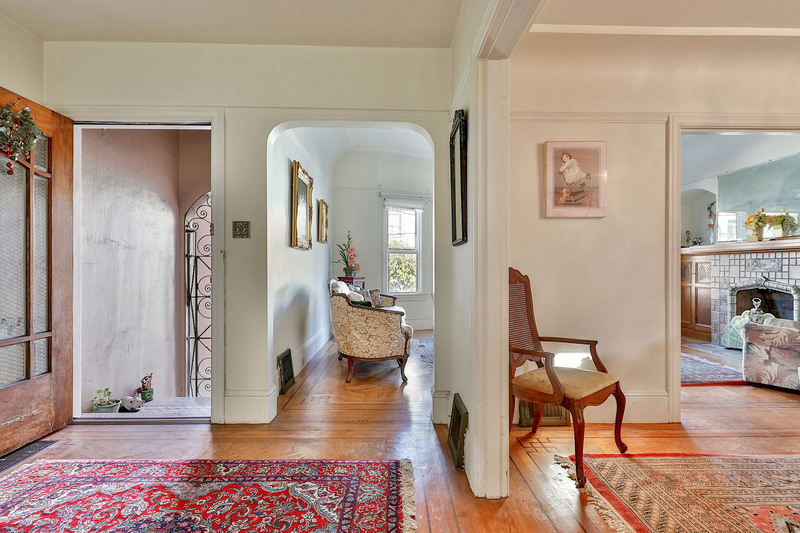 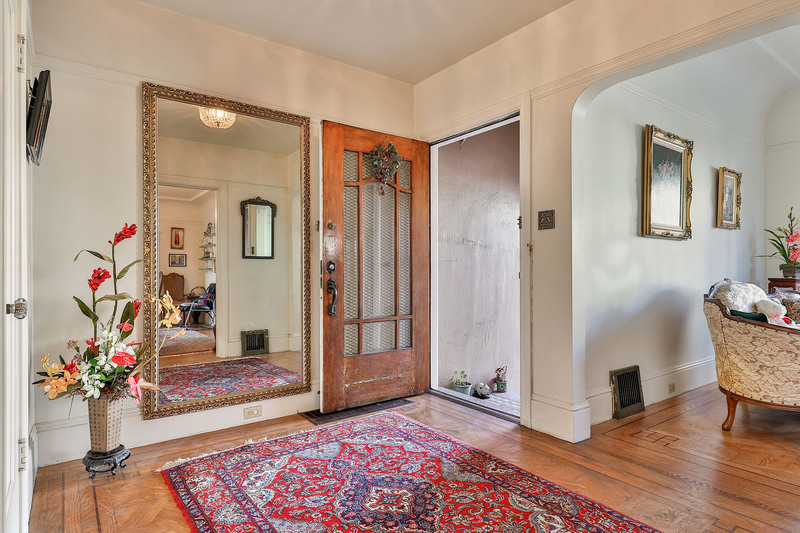 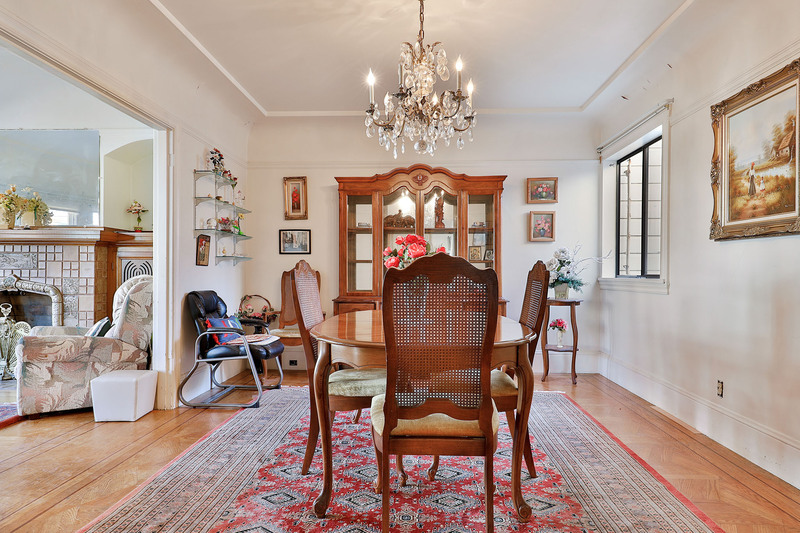 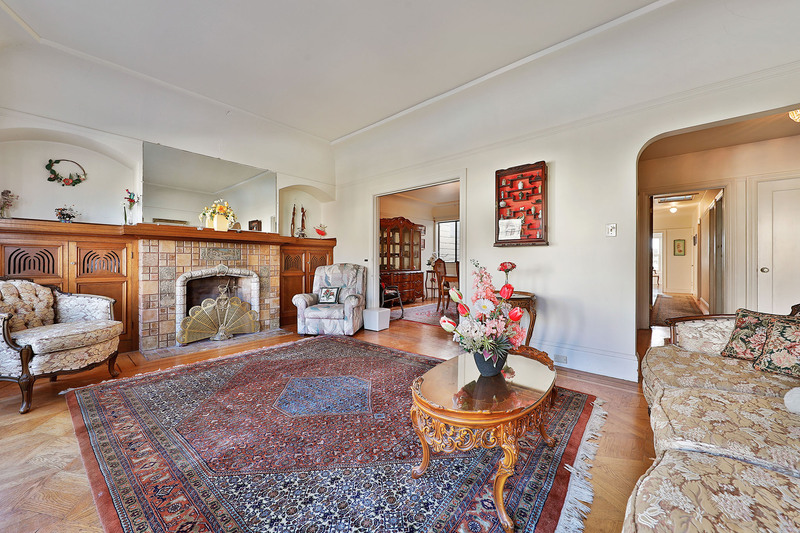 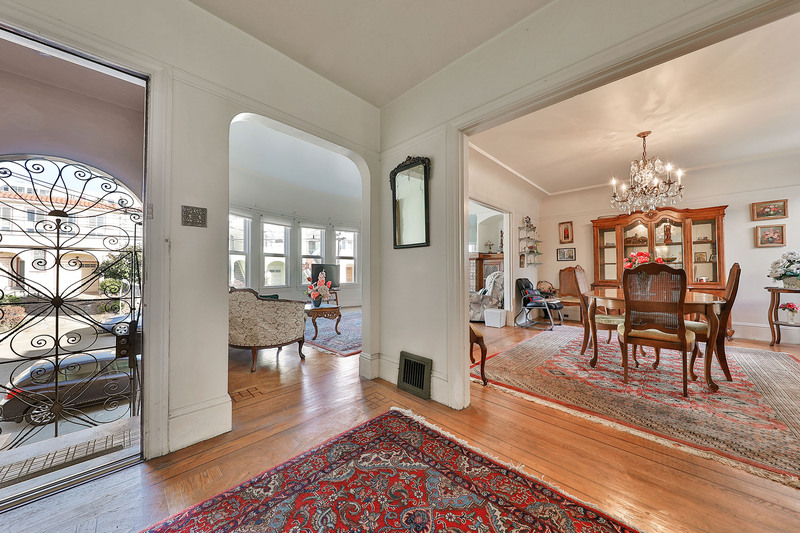 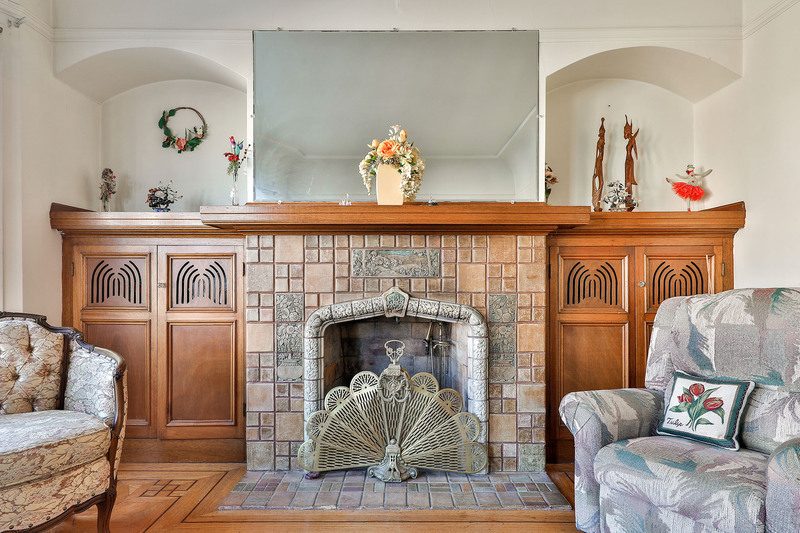 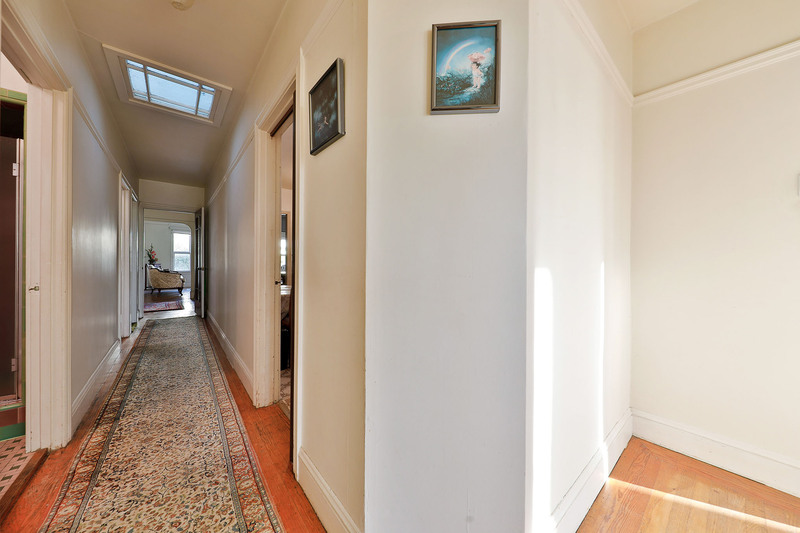 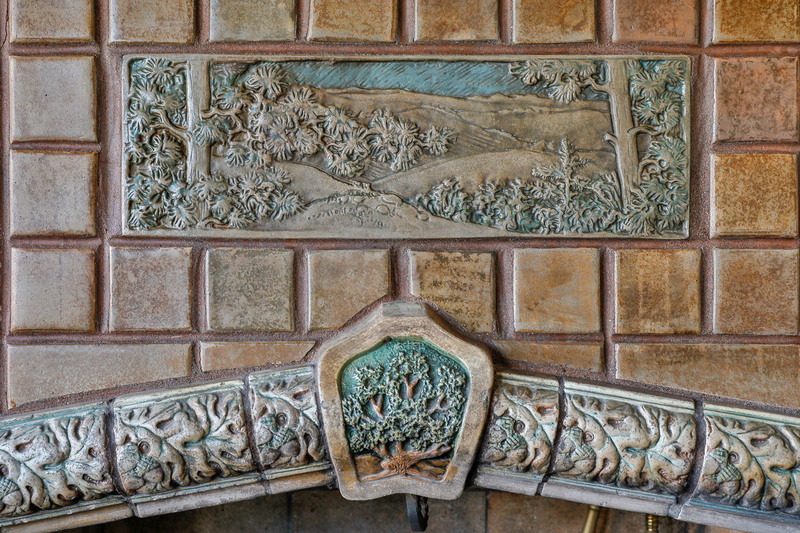 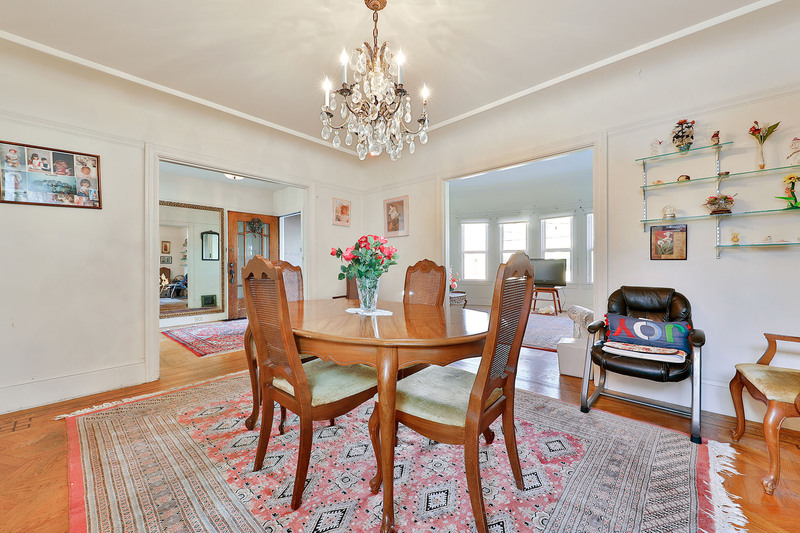 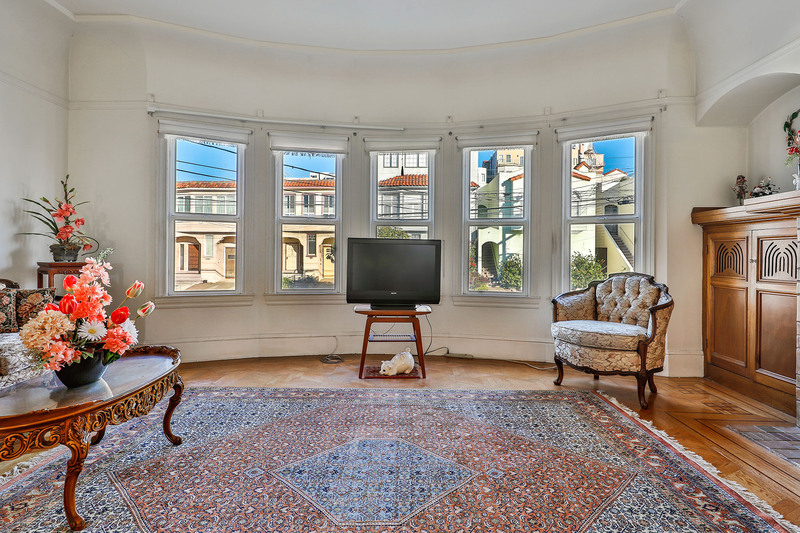 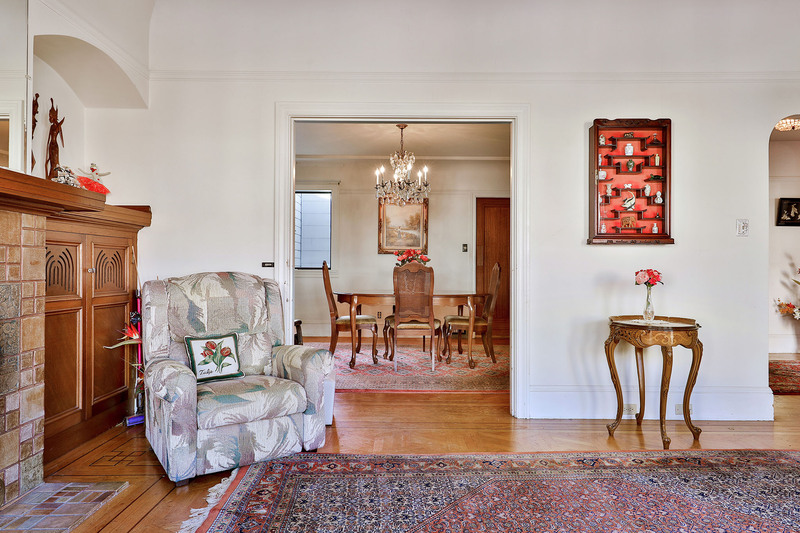 The inviting and spacious living room has a beautiful period fireplace with original tile surround. 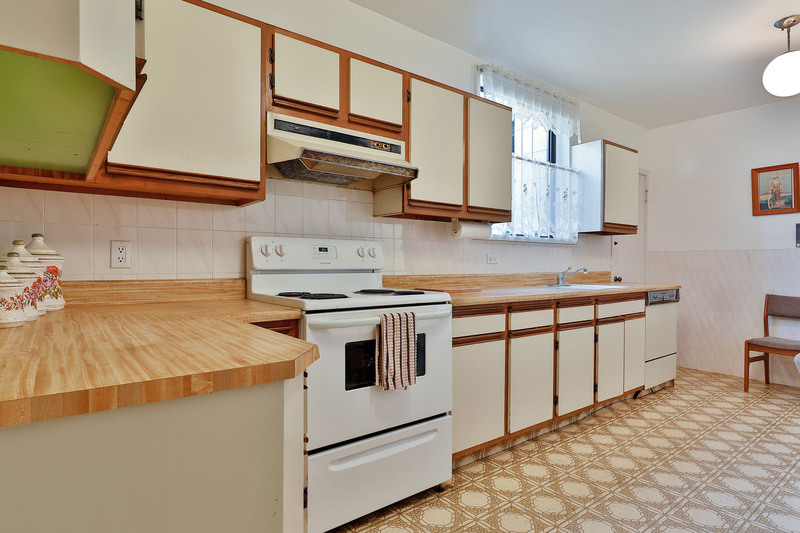 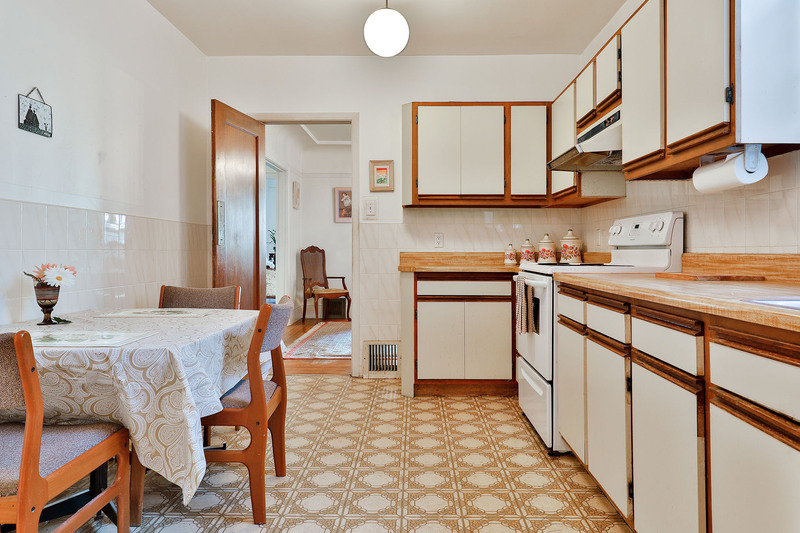 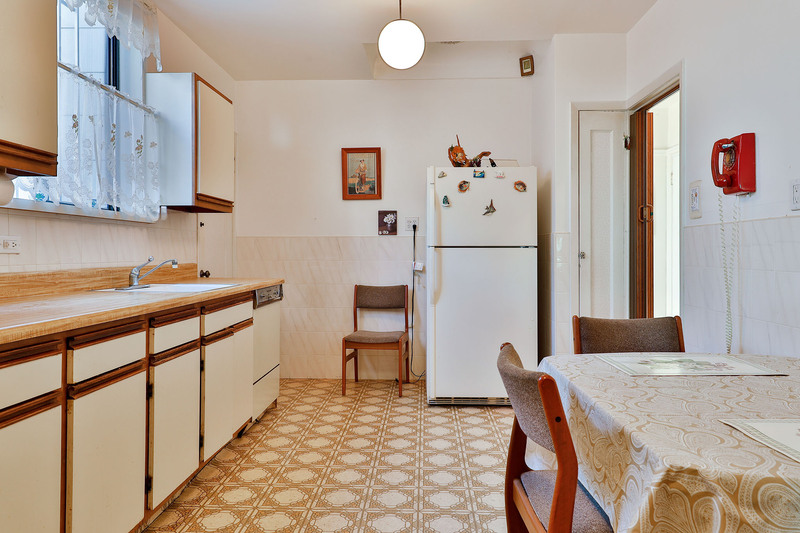 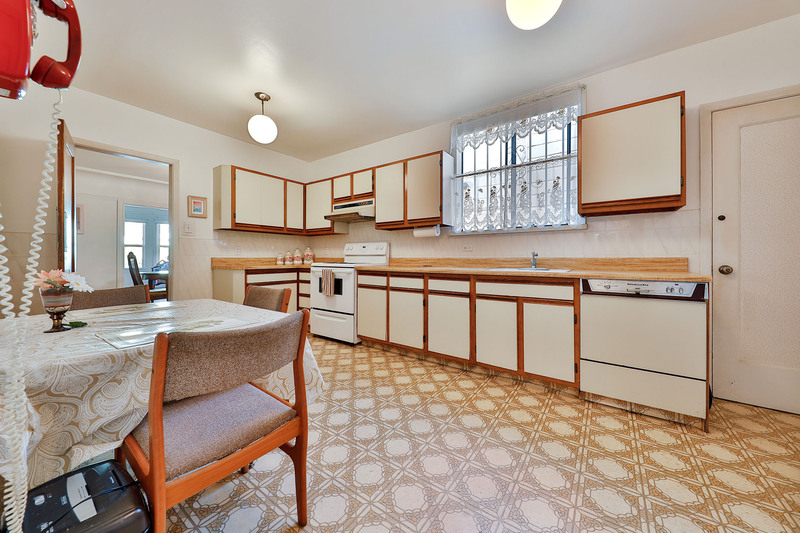 The spacious eat-in kitchen is ready to be re-imagined. 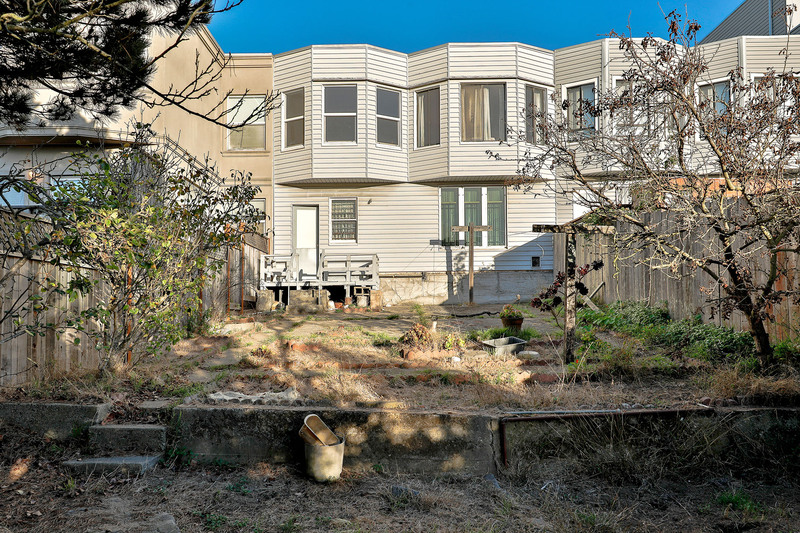 Two bedrooms overlook a large rear yard with a peek at the ocean. 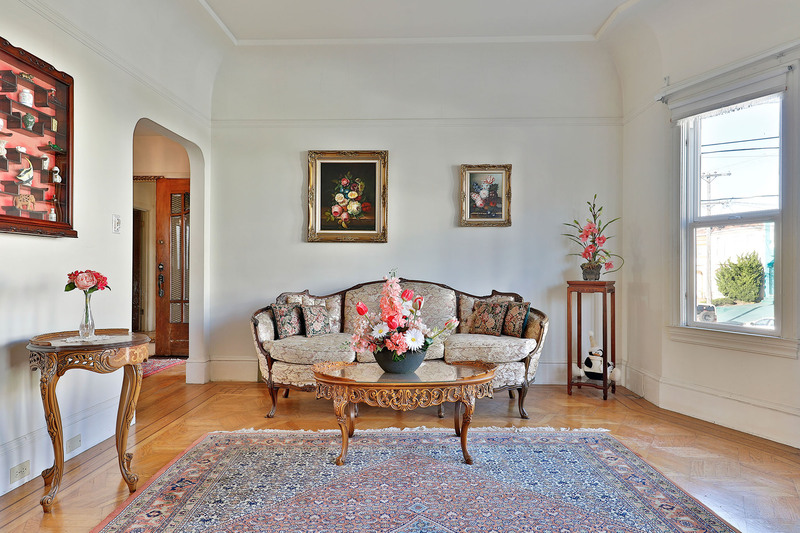 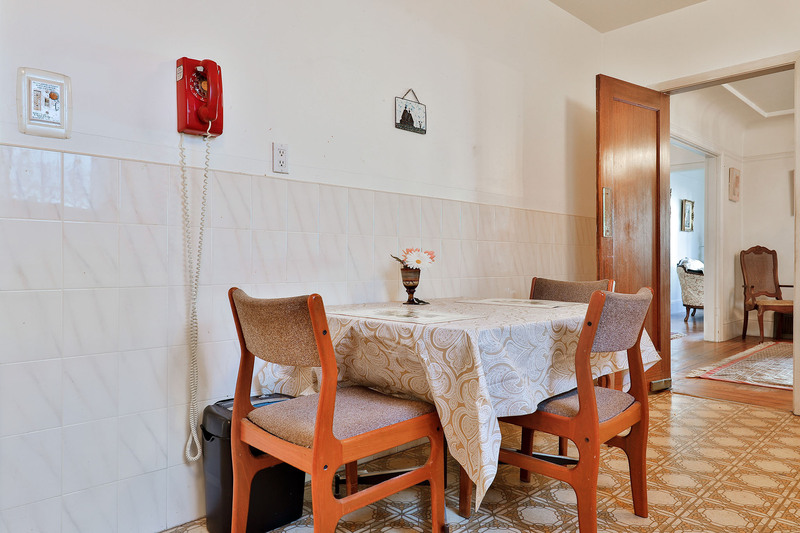 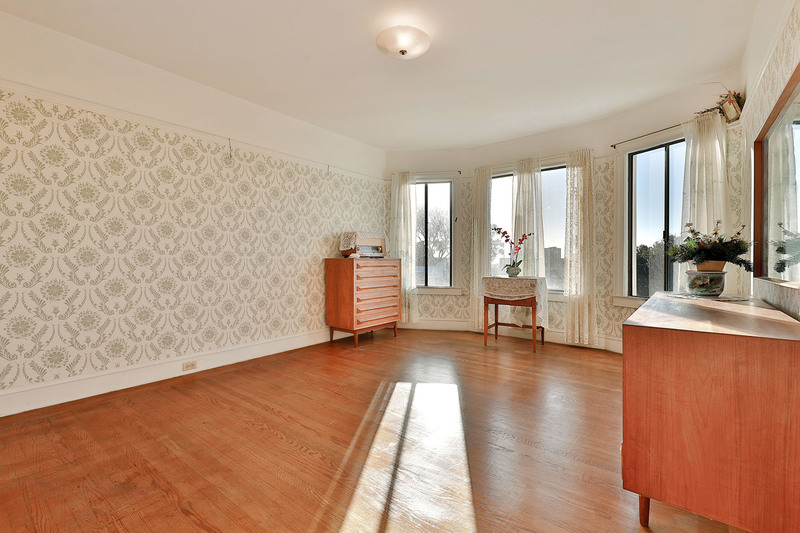 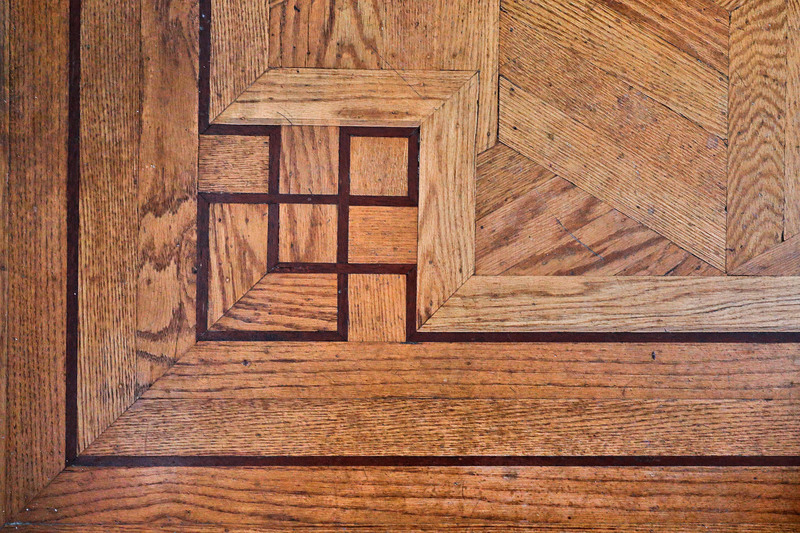 There are mahogany inlaid hardwood floors throughout the main living level. 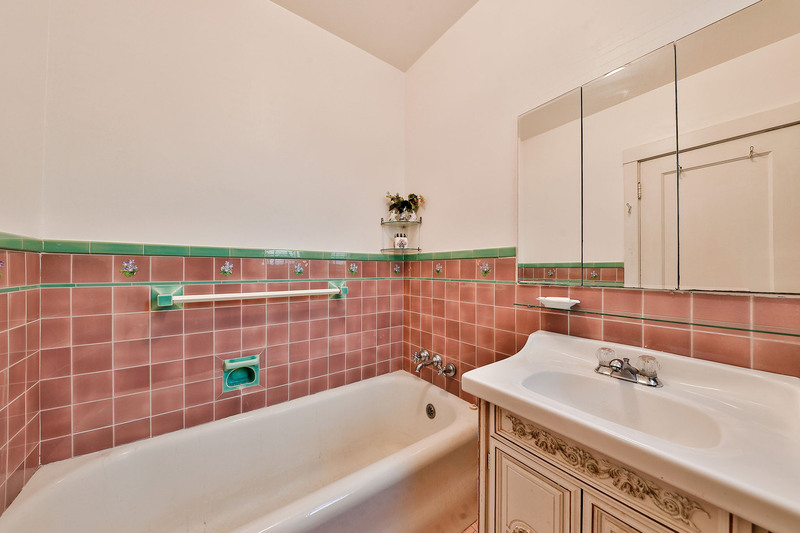 The full bathroom has a tub and separate stall shower. 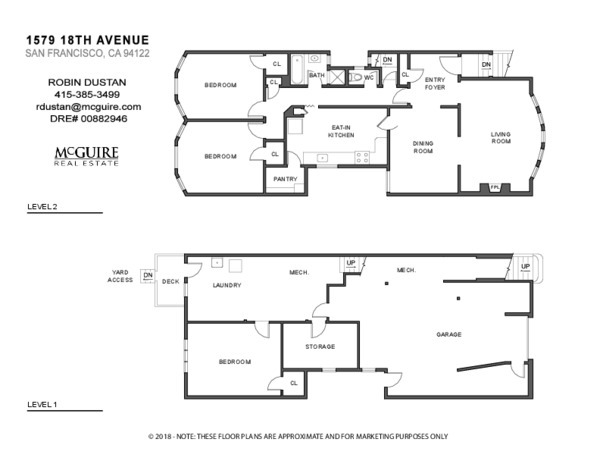 The lower level has parking for one + cars, a finished room, plenty of storage and expansion opportunity. 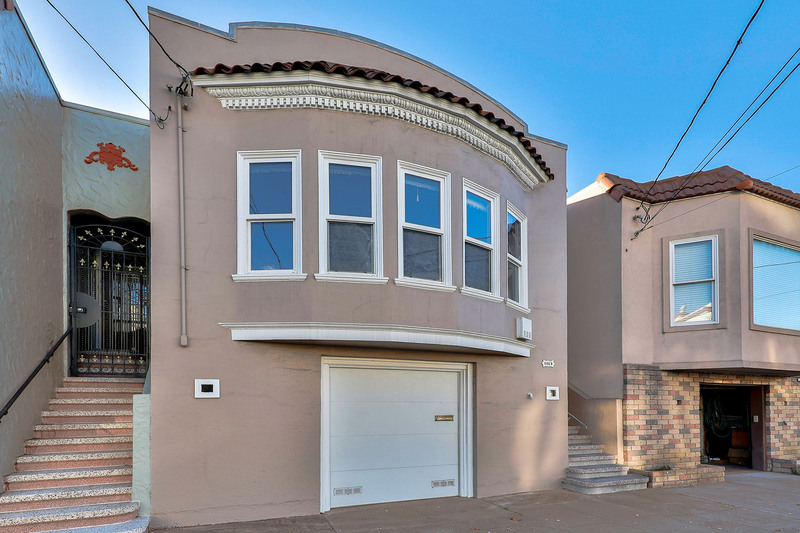 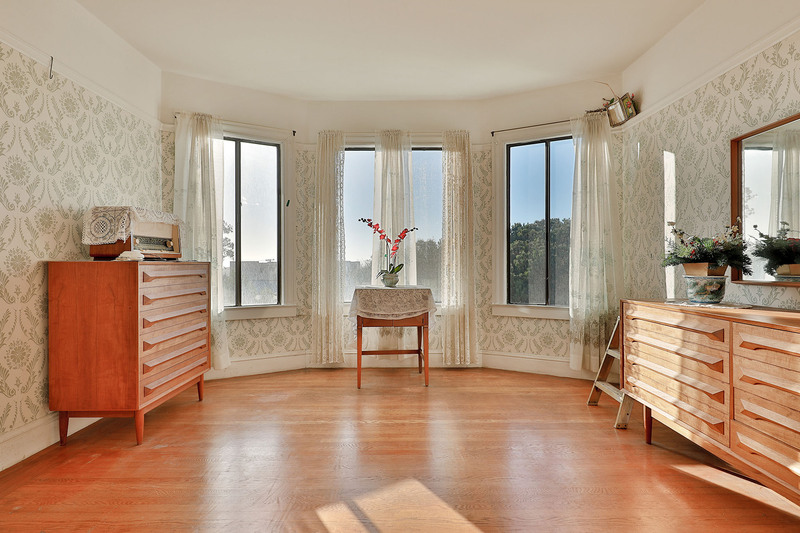 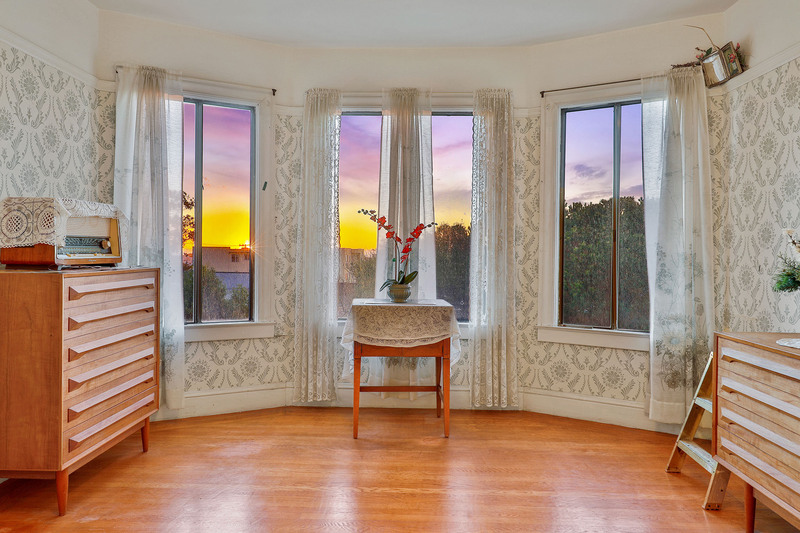 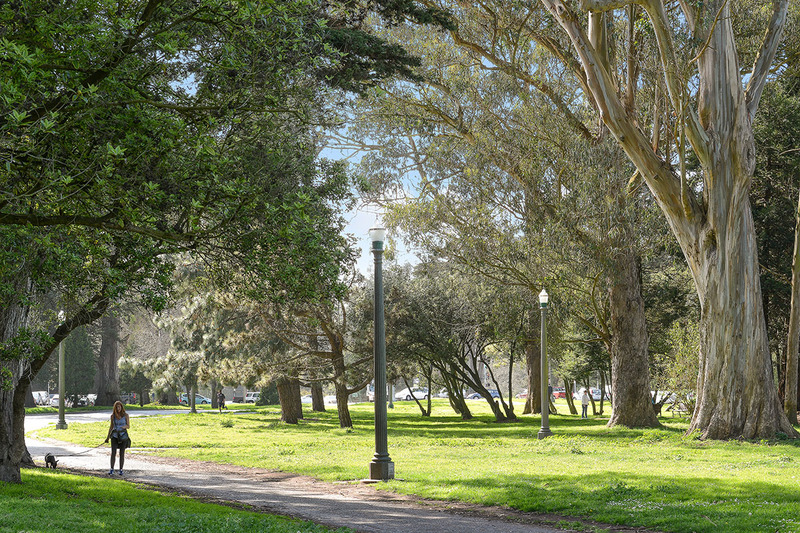 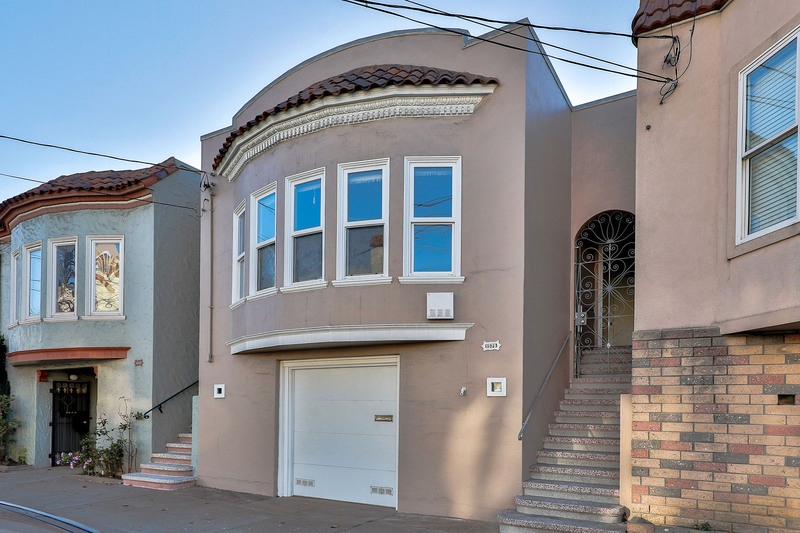 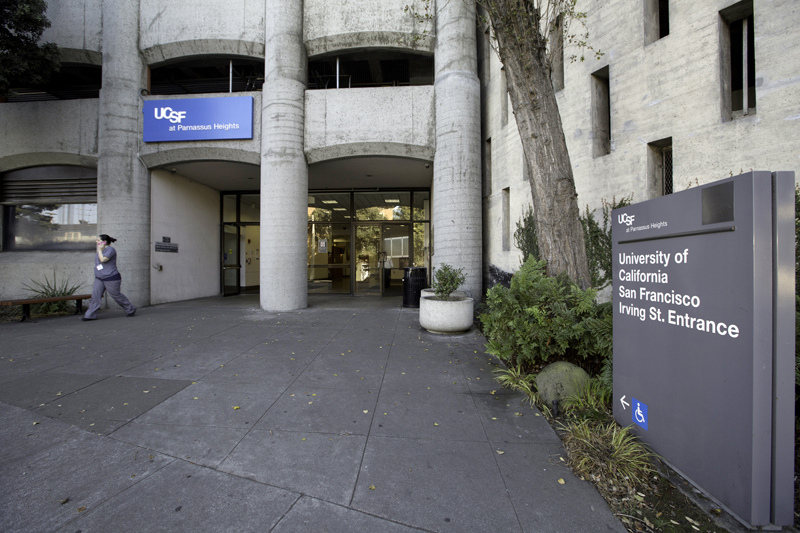 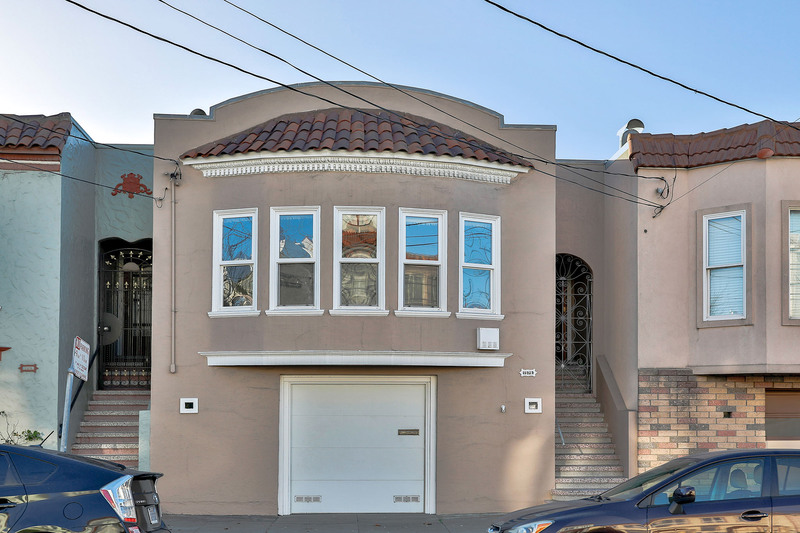 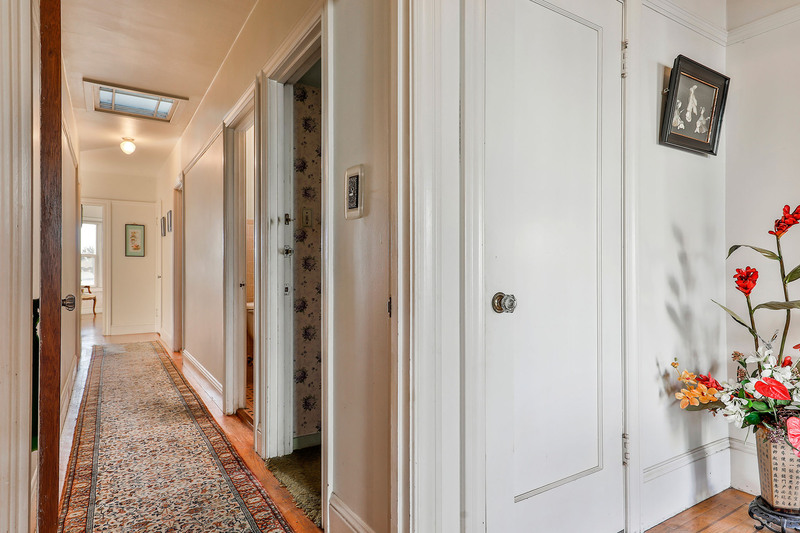 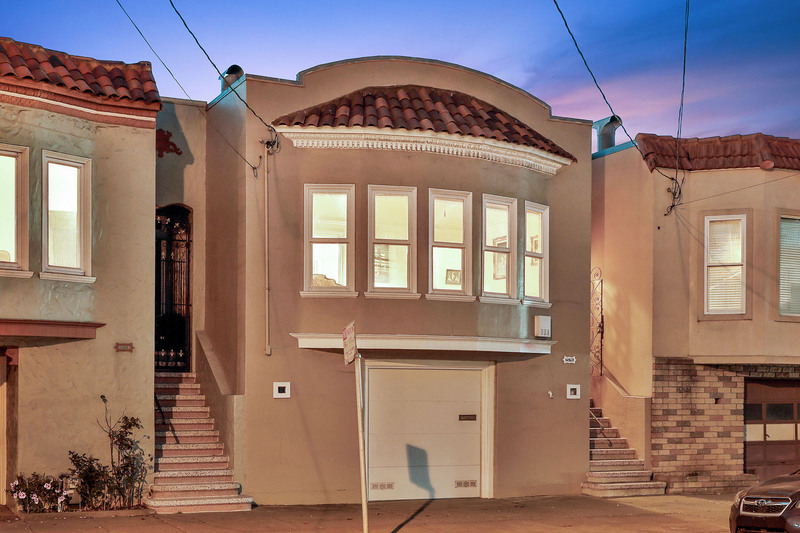 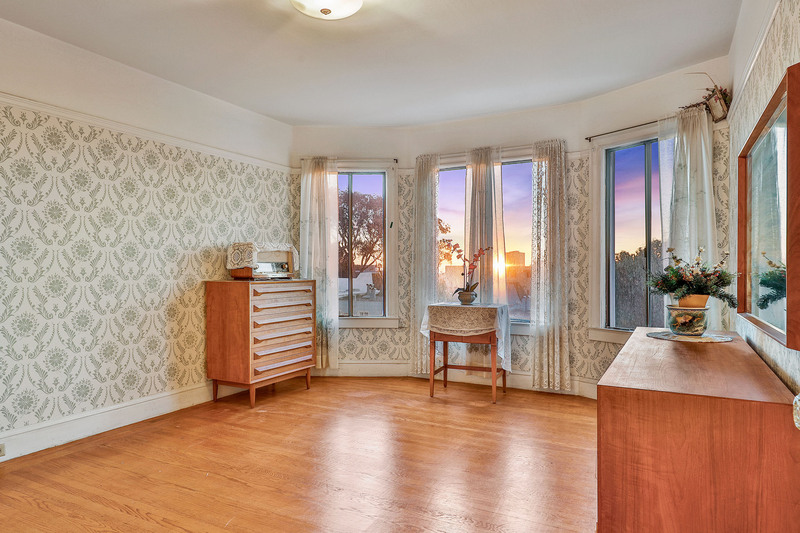 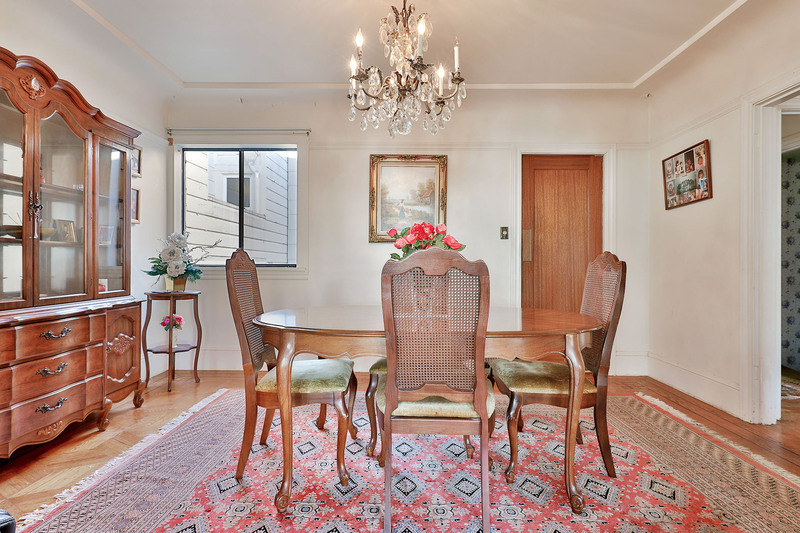 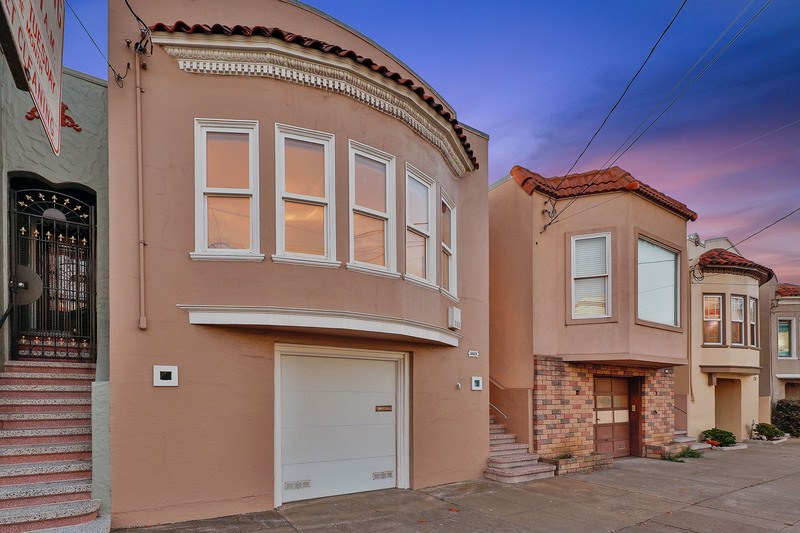 The home is conveniently located near Judah Street MUNI lines, 19th Avenue public transit, UCSF, 3.5 blocks to Golden Gate Park, and Irving street shops and restaurants. 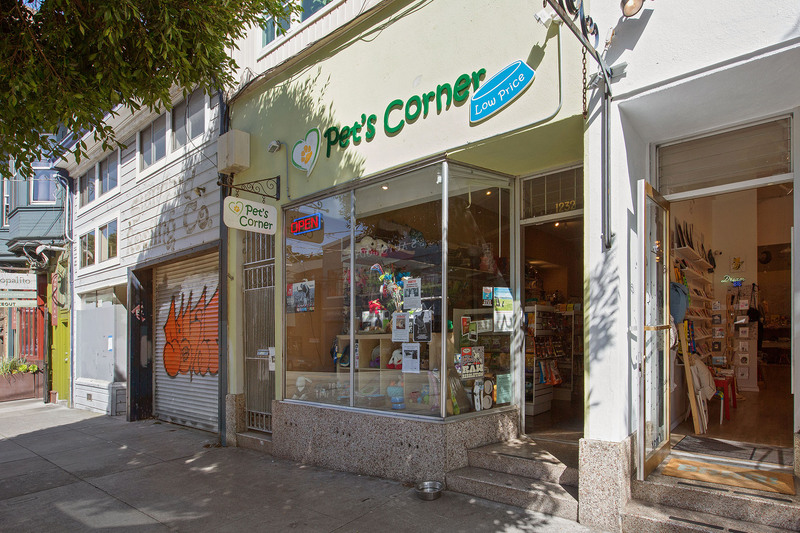 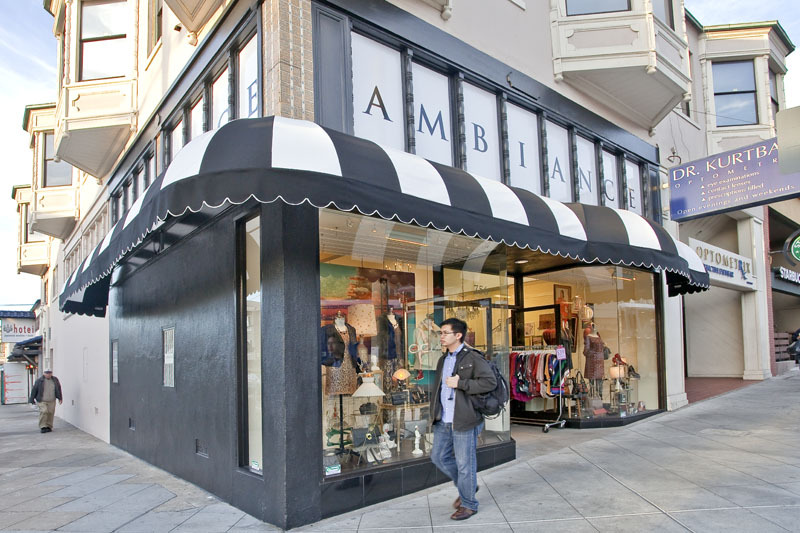 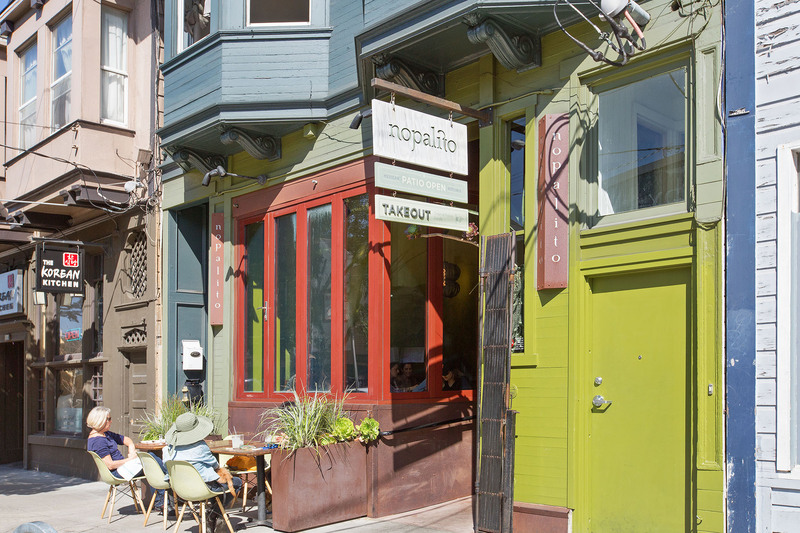 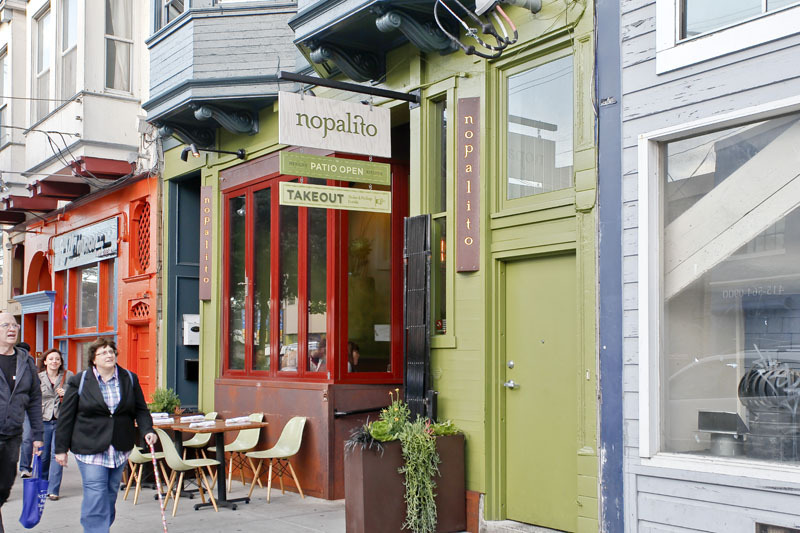 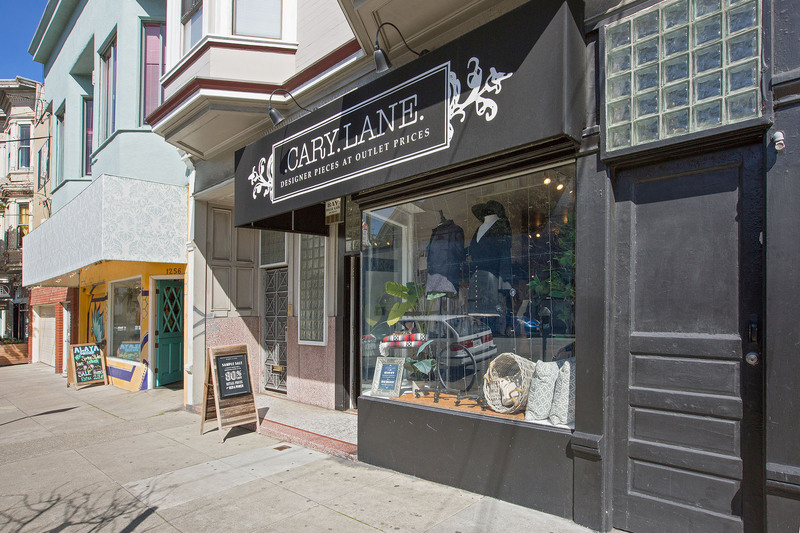 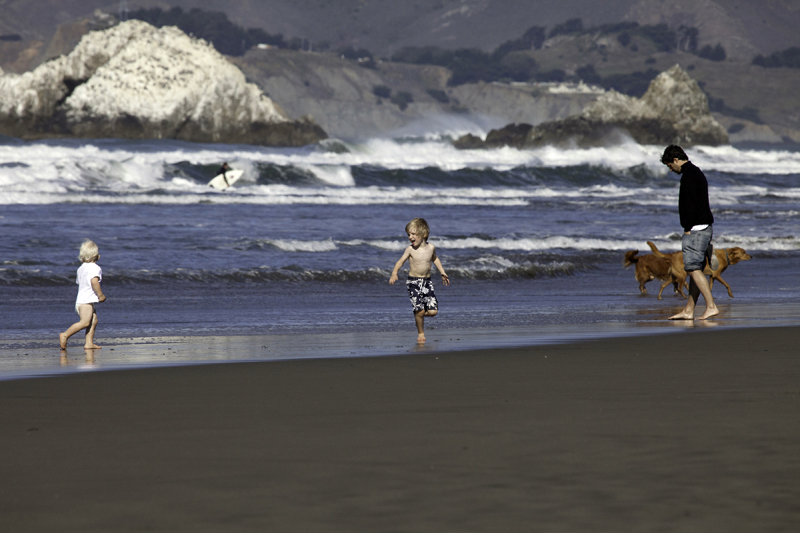 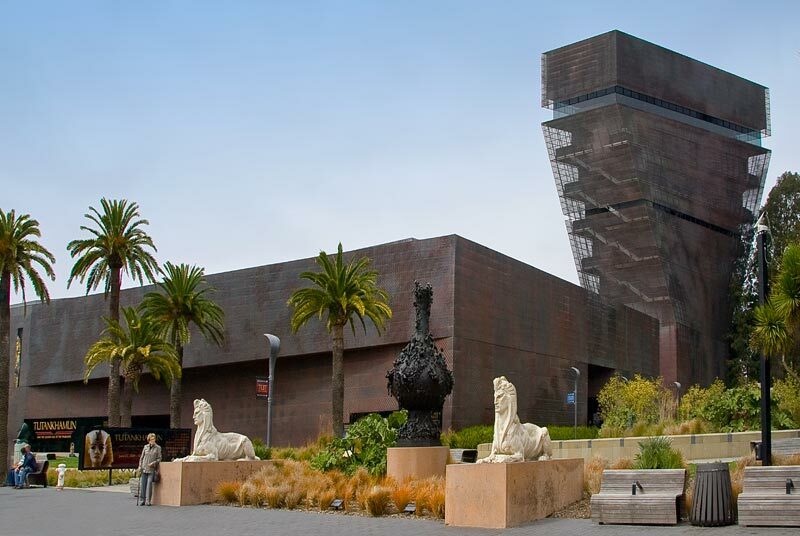 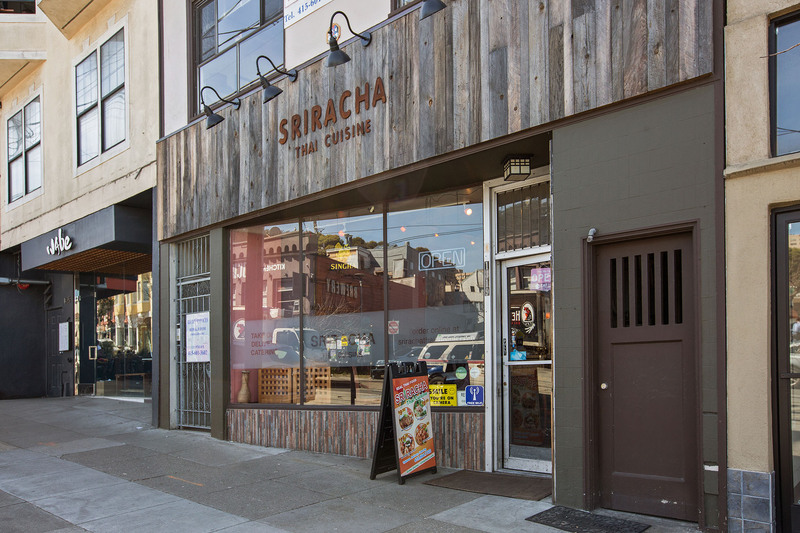 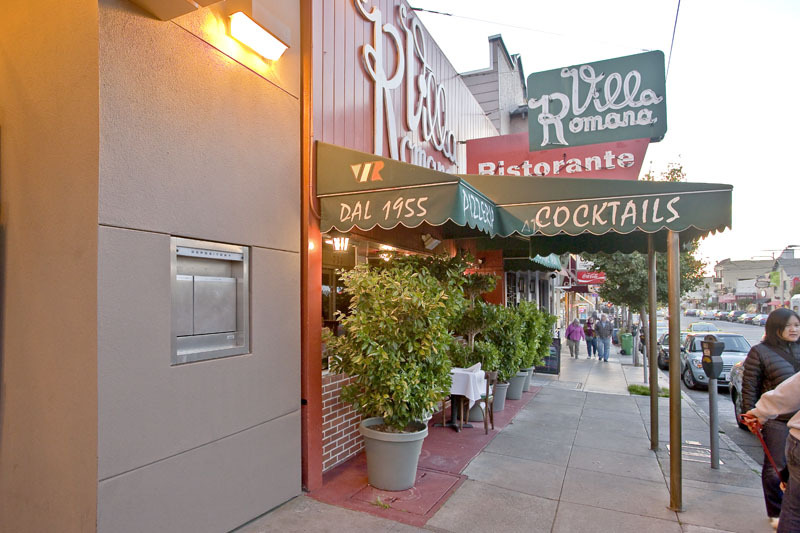 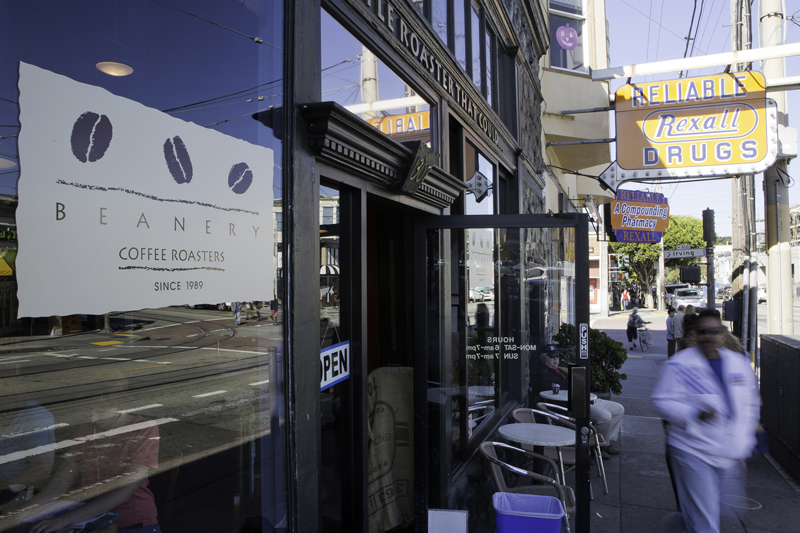 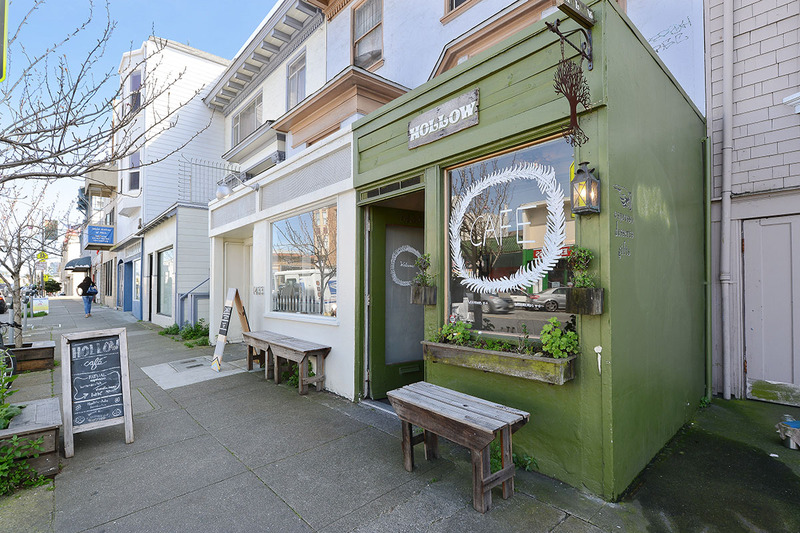 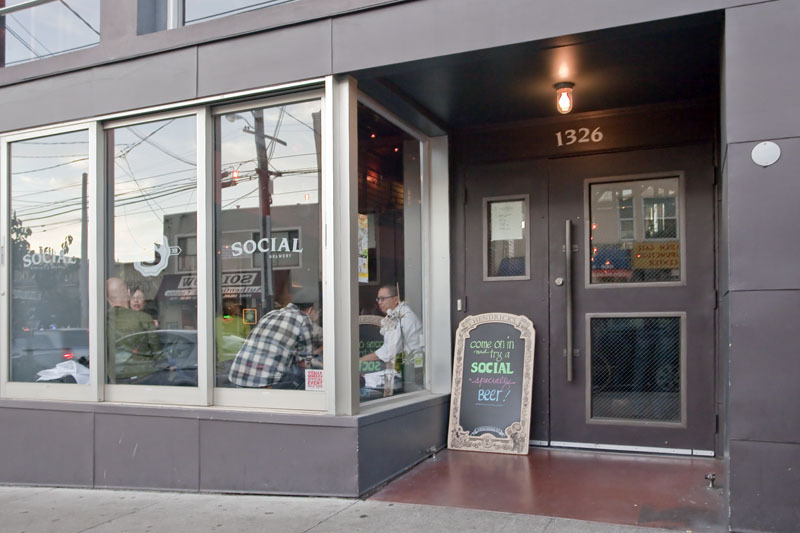 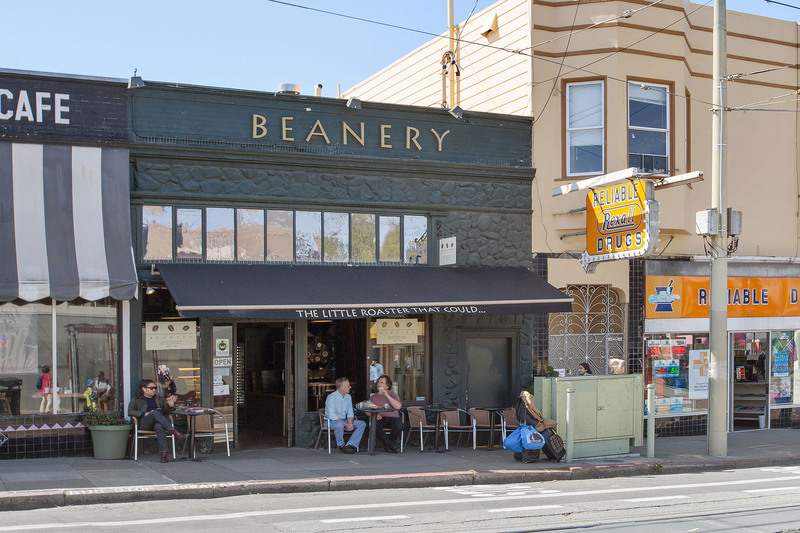 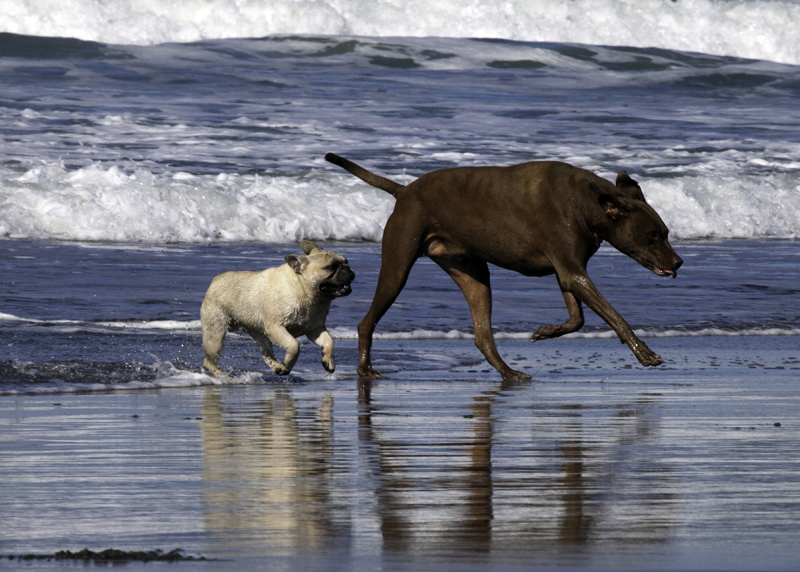 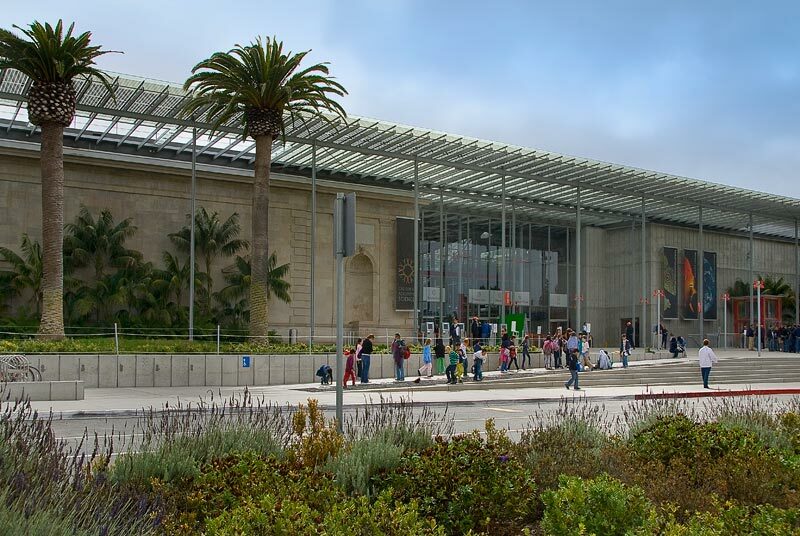 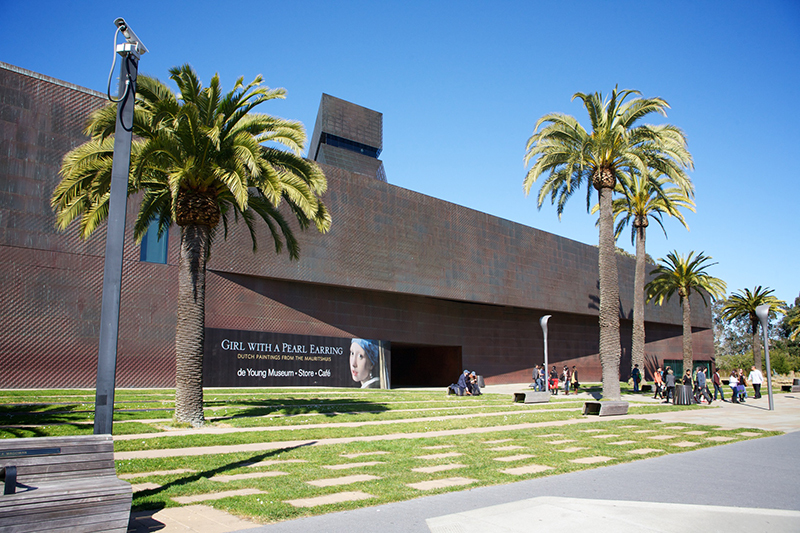 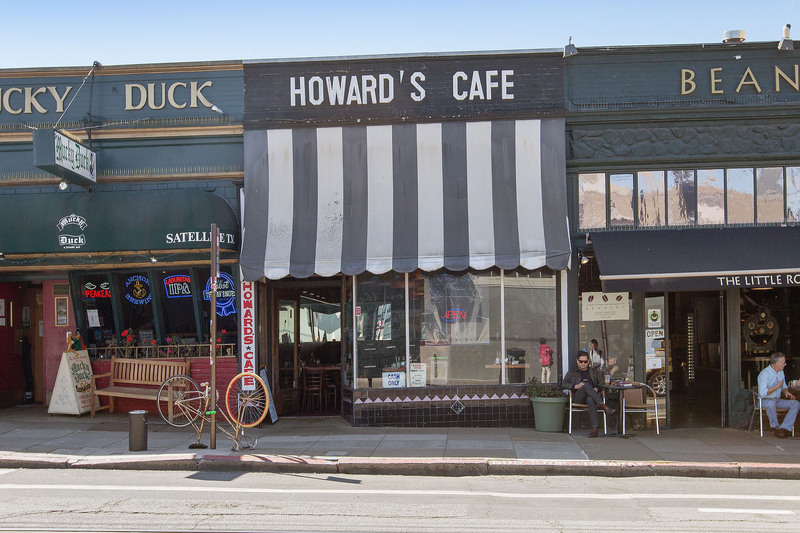 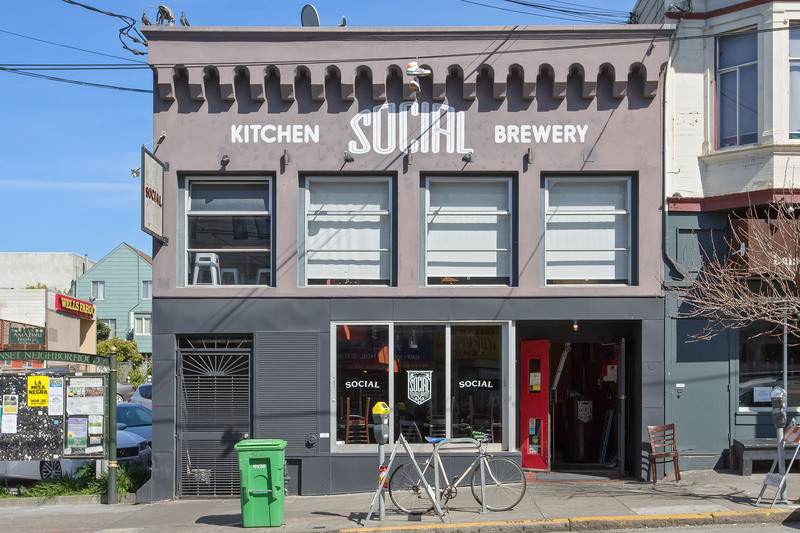 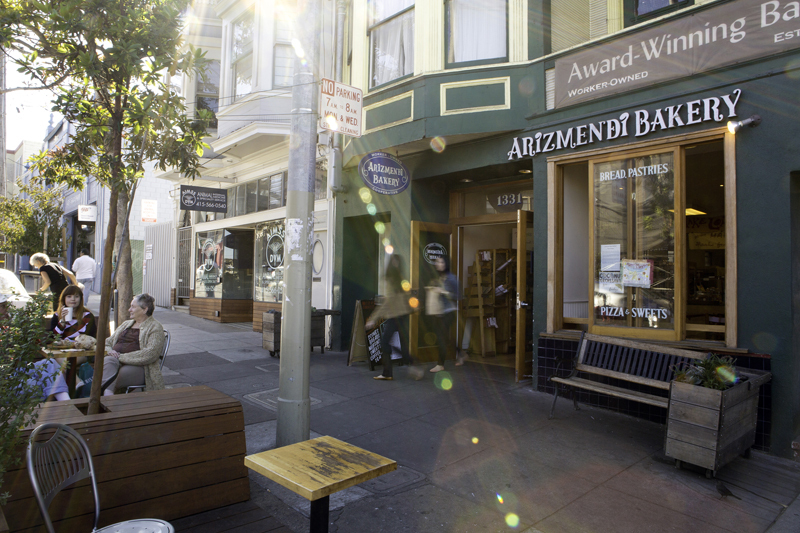 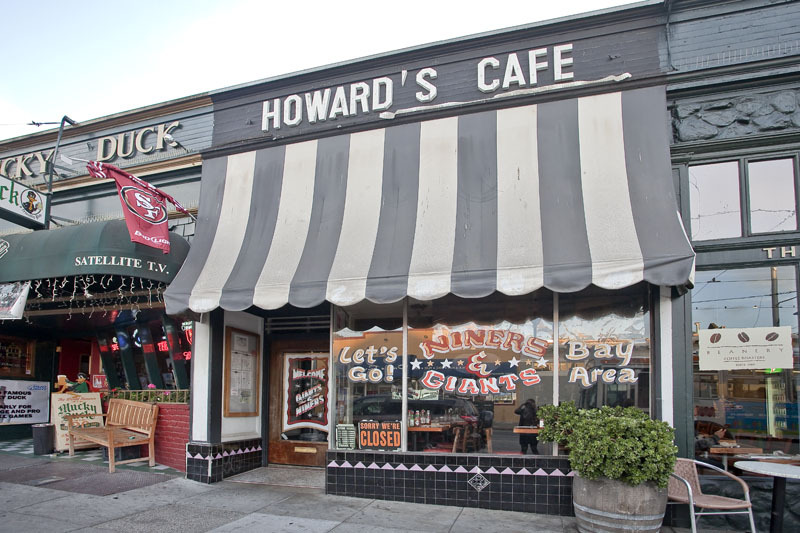 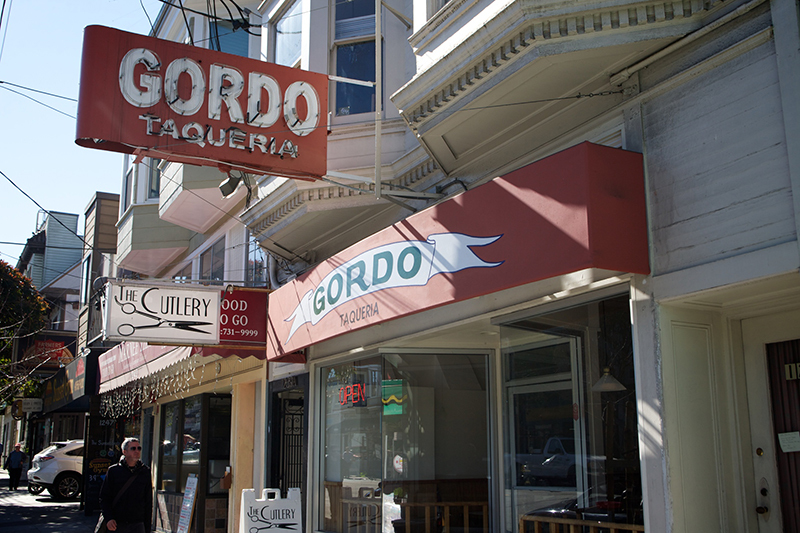 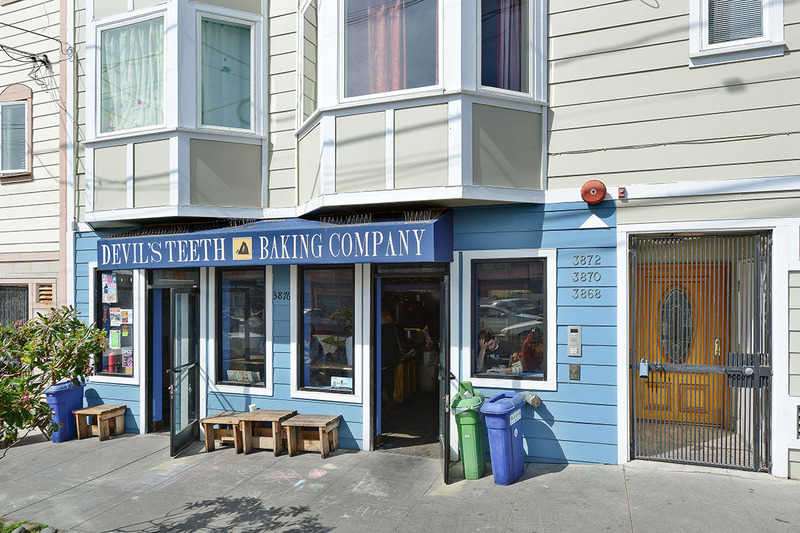 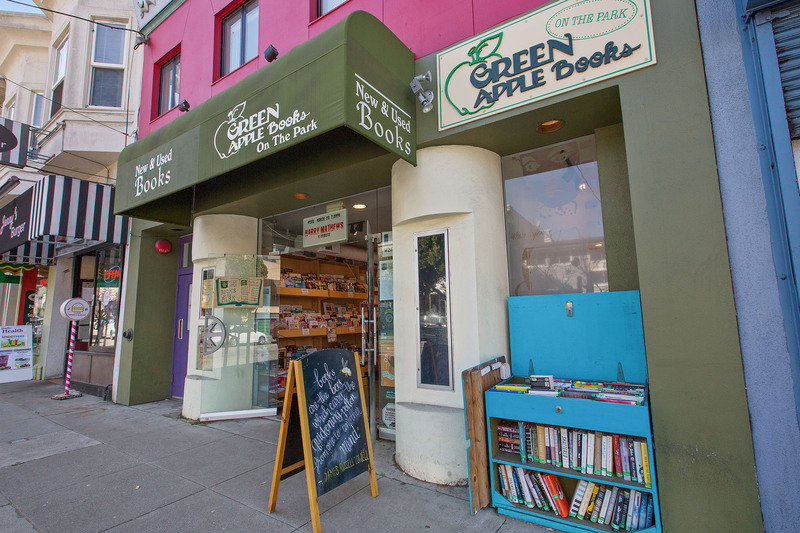 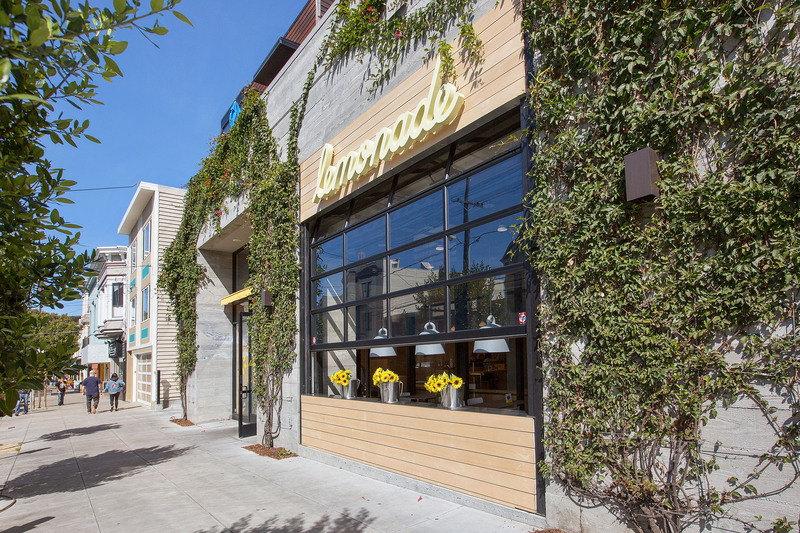 The dynamic Inner Sunset neighborhood is a hop and a skip from Golden Gate Park, Cole Valley, UCSF, and The Haight. 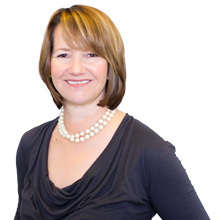 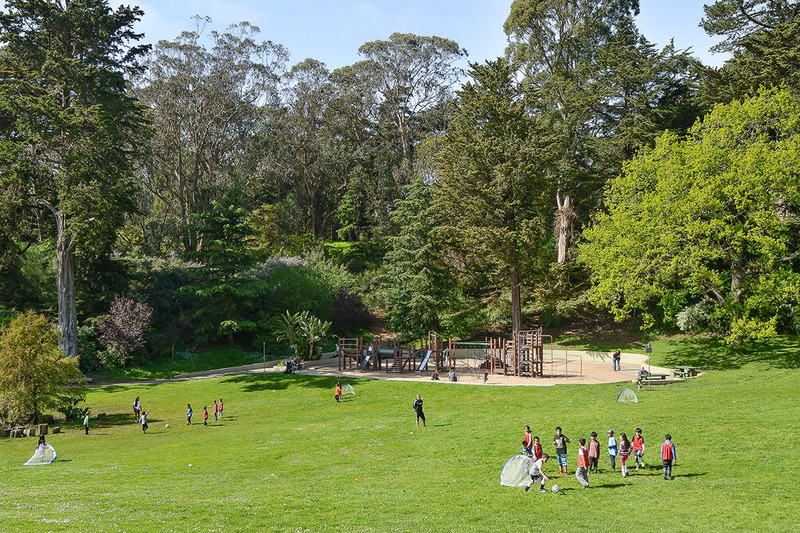 This area is a tremendous draw for young urban professionals and families. 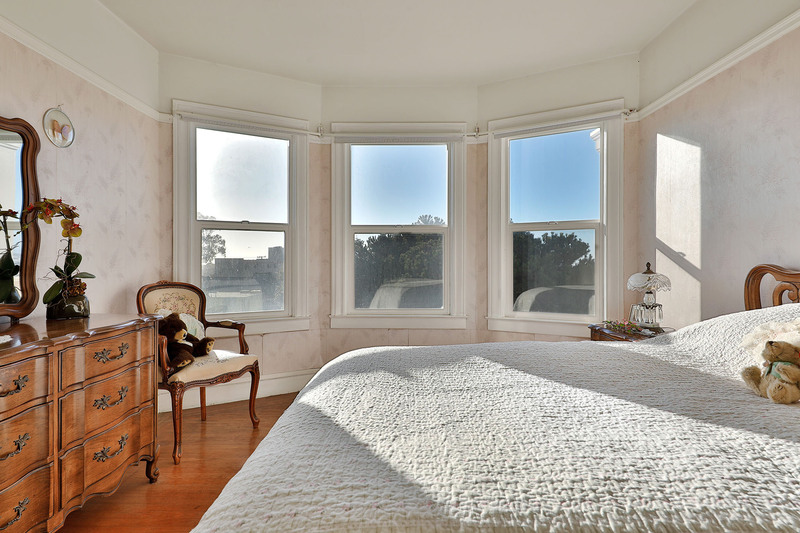 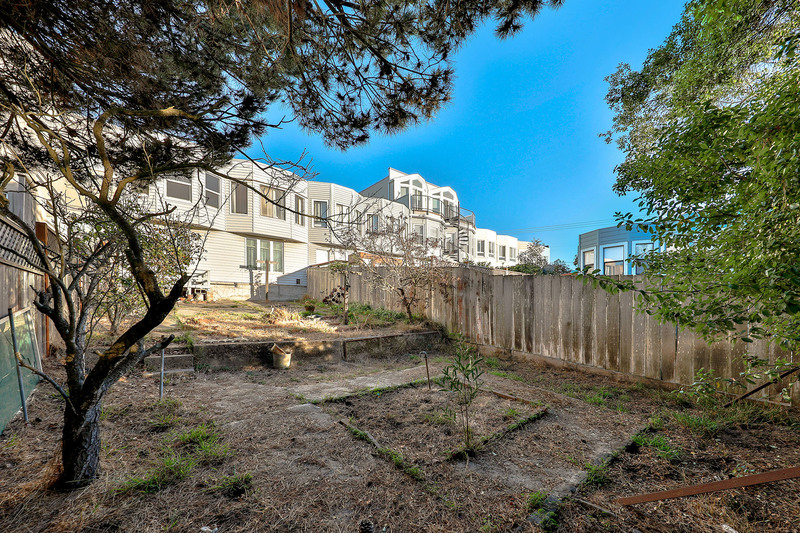 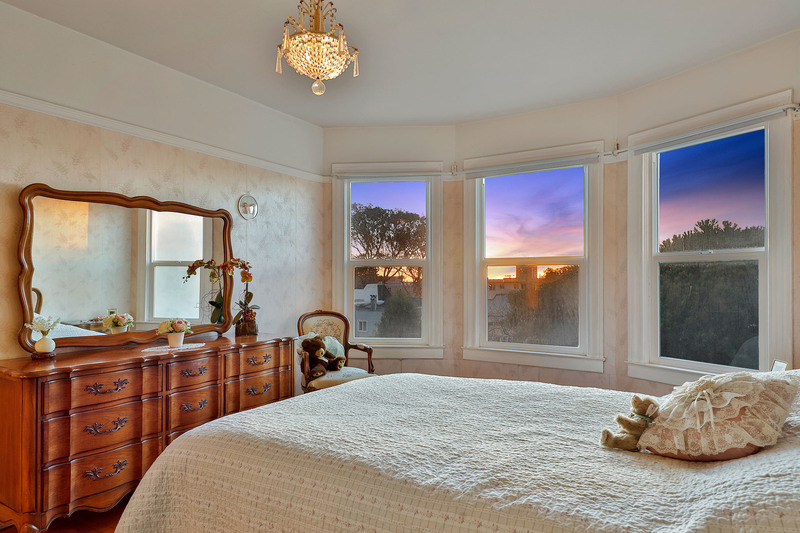 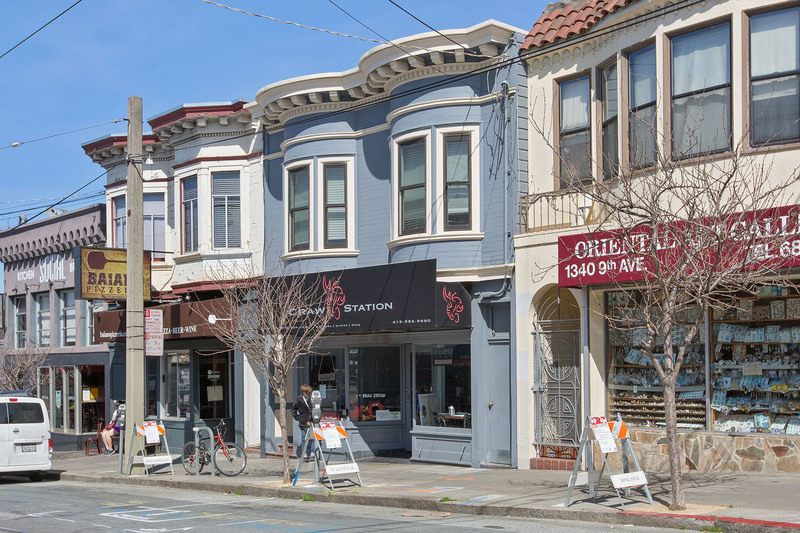 Homes in the Inner Sunset include multi-unit buildings, single-family homes, and contemporary condominiums. 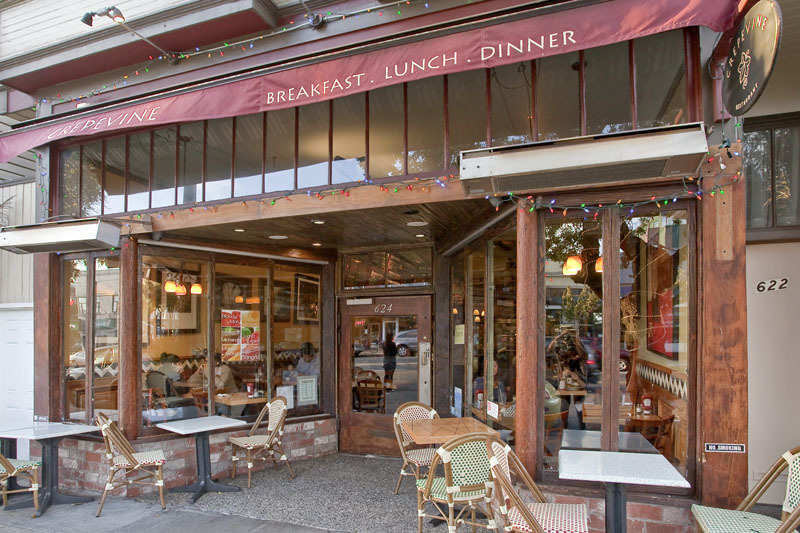 Foodies flock to Cole Street’s restaurants and cafés for relaxing evenings and weekend. 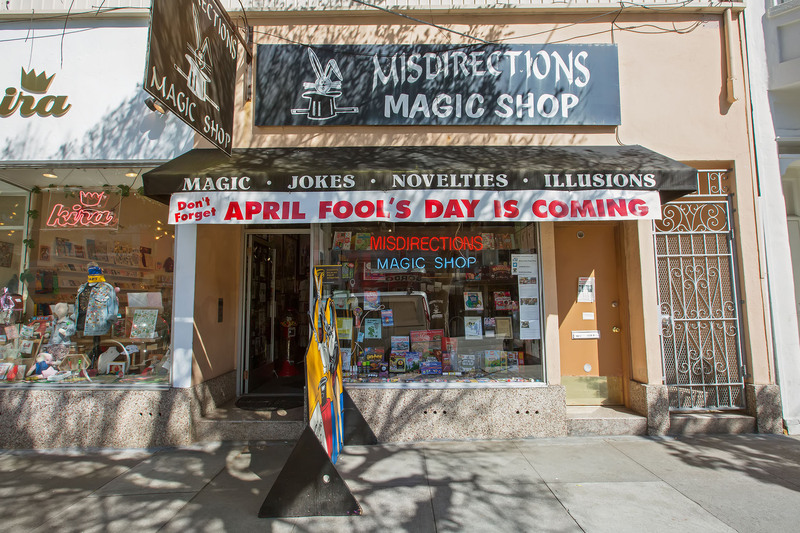 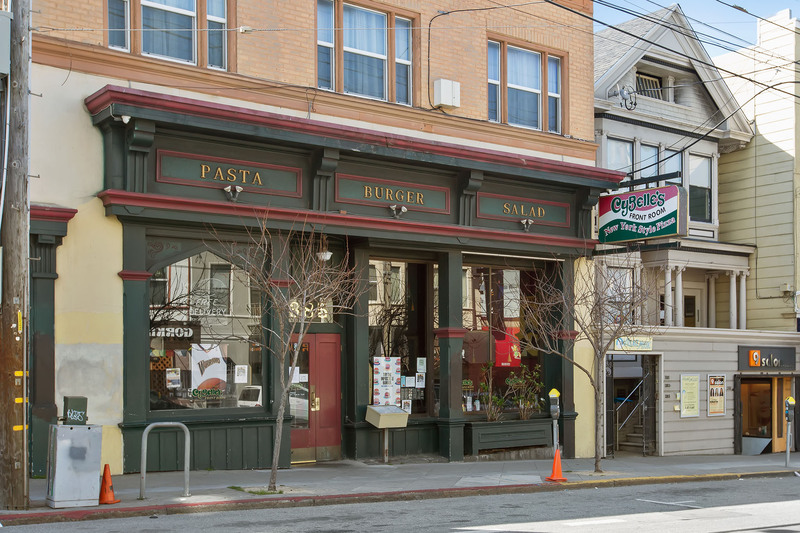 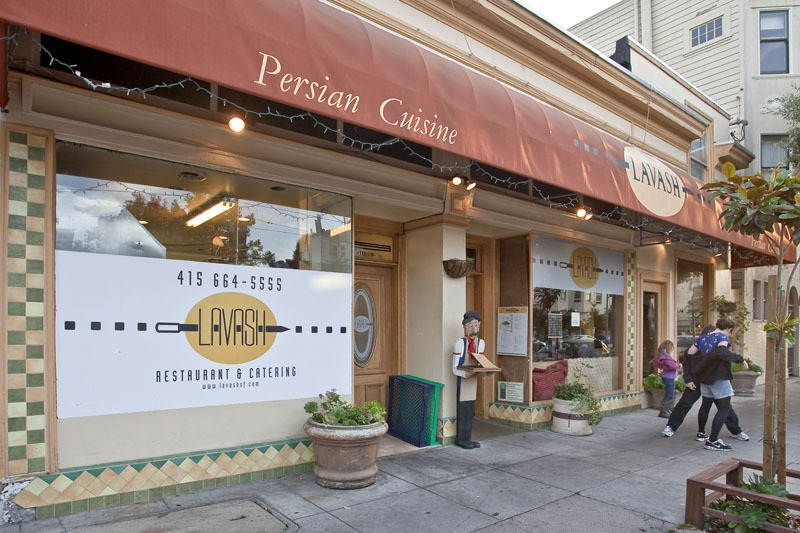 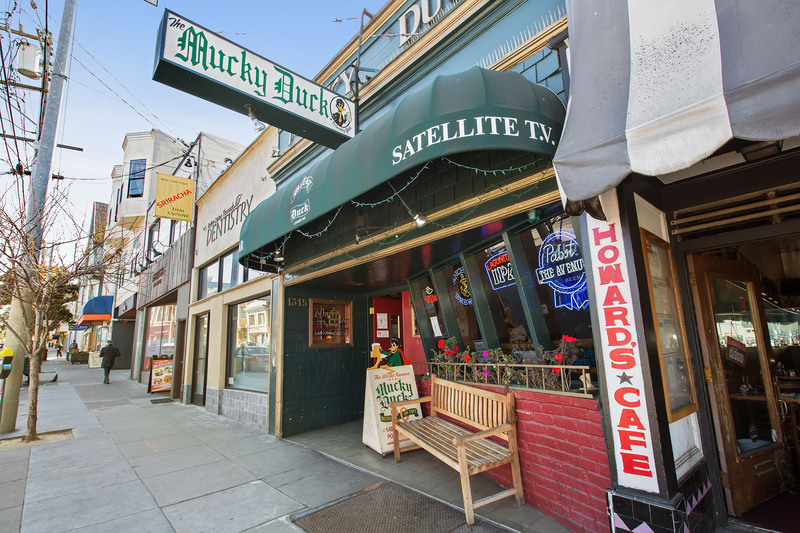 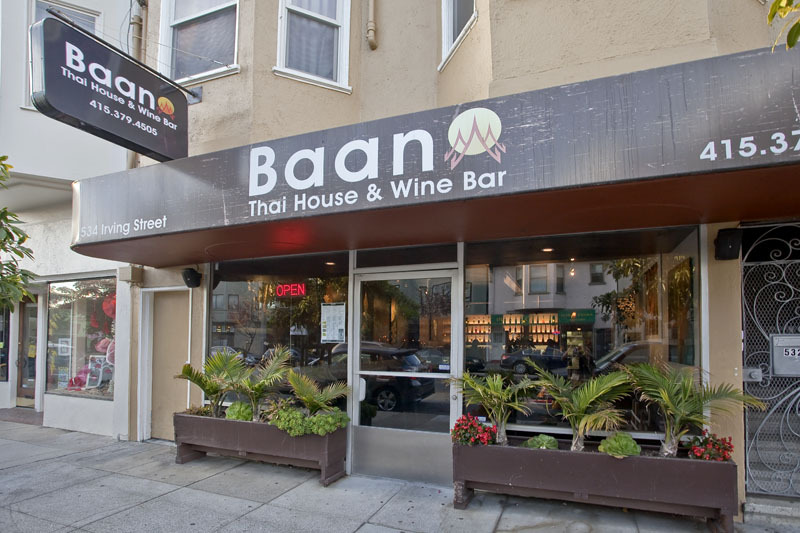 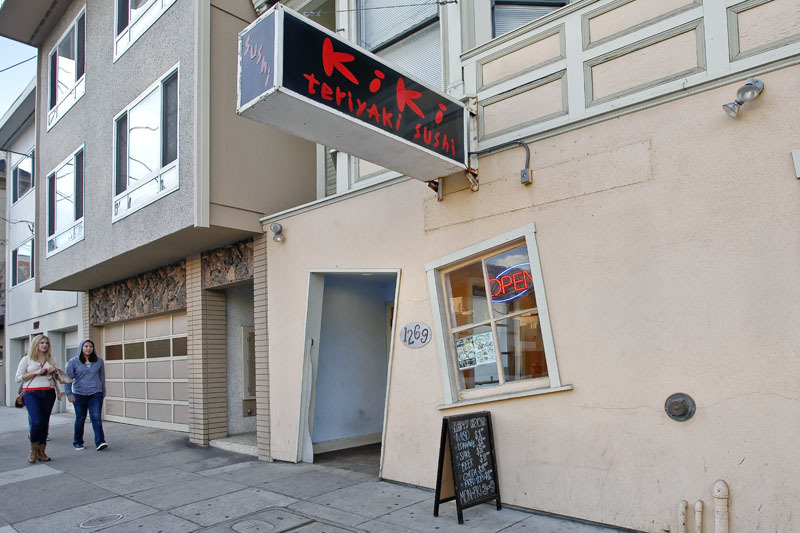 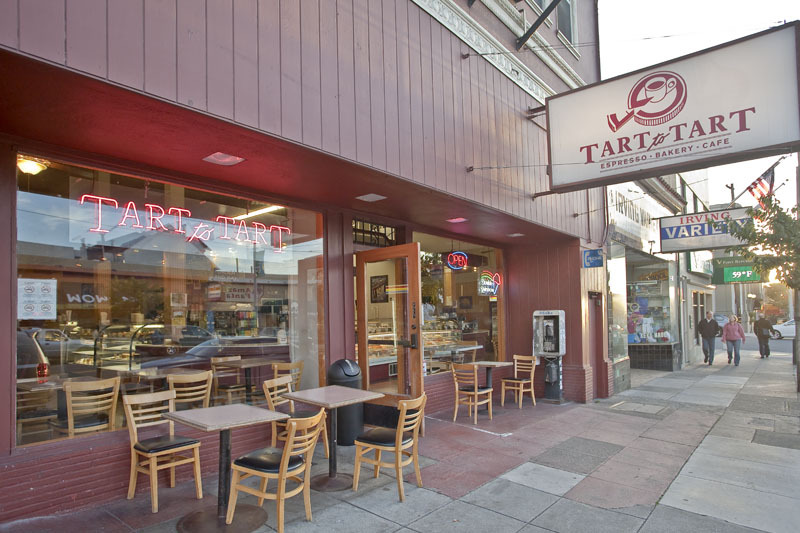 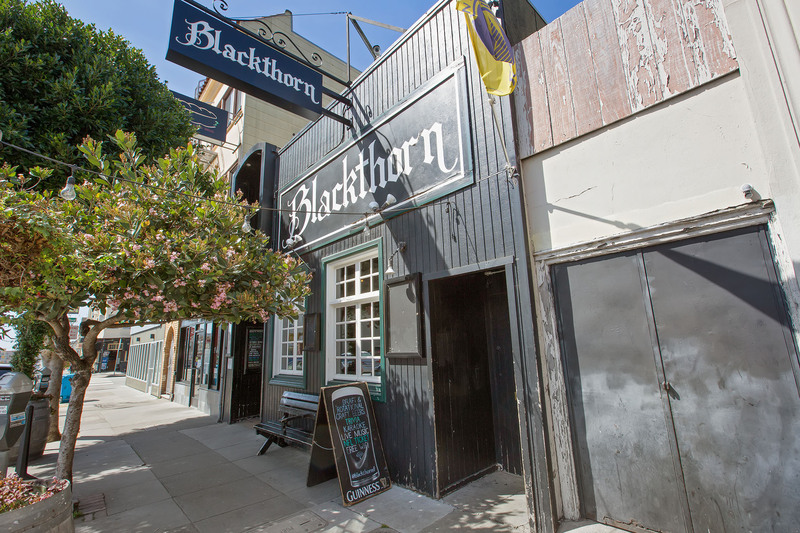 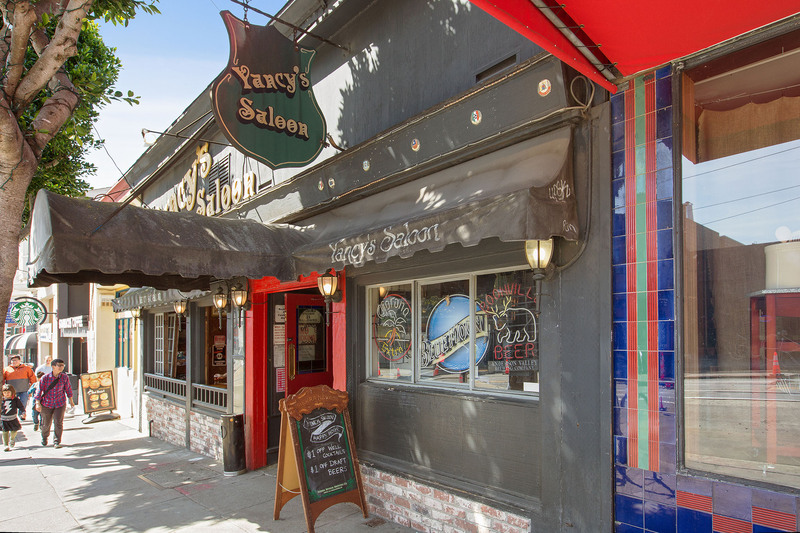 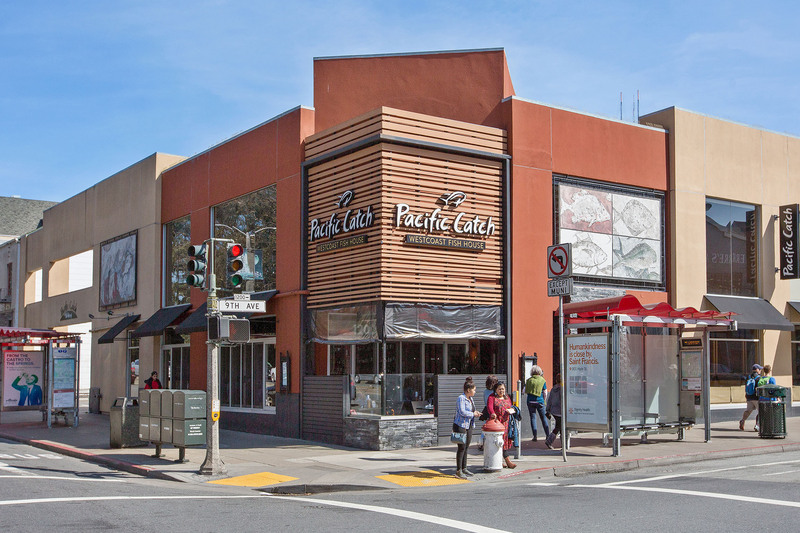 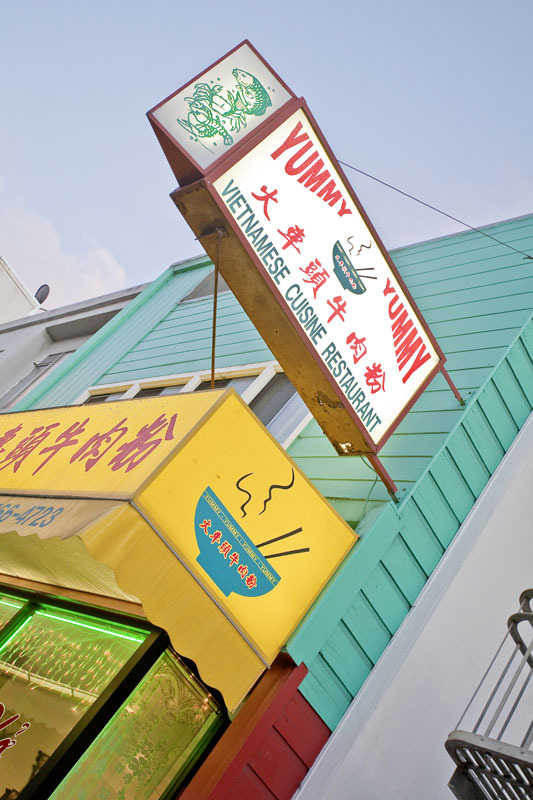 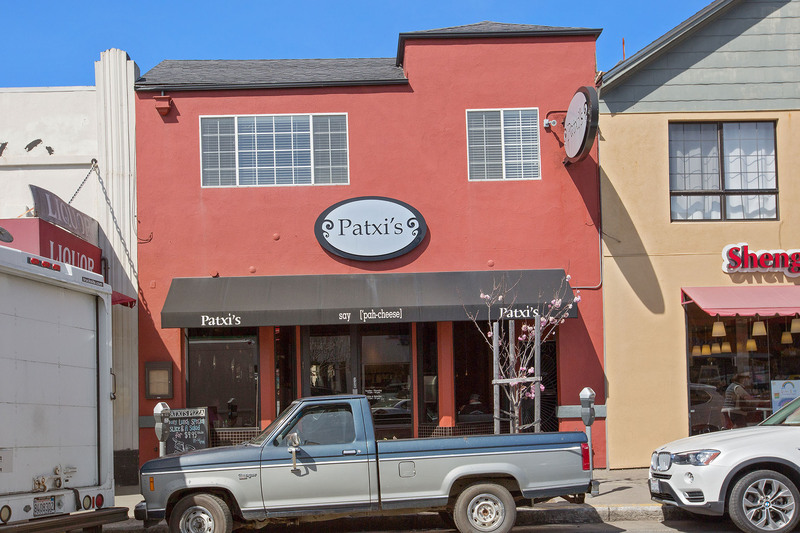 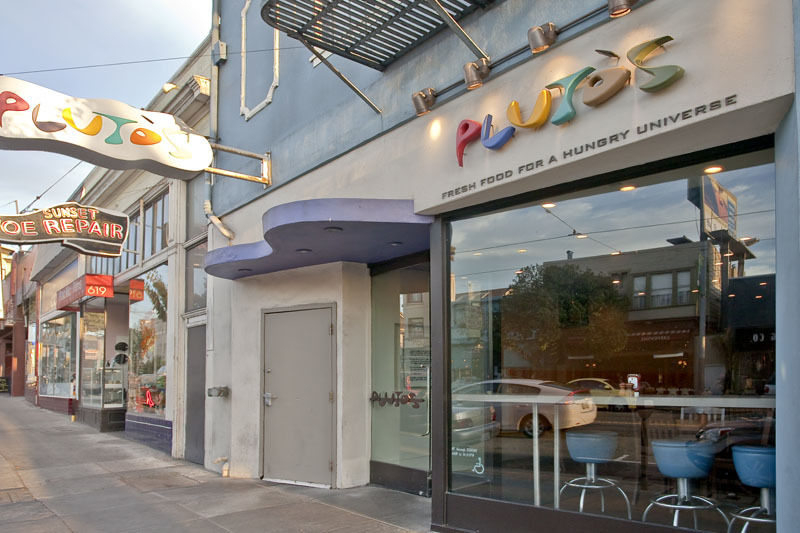 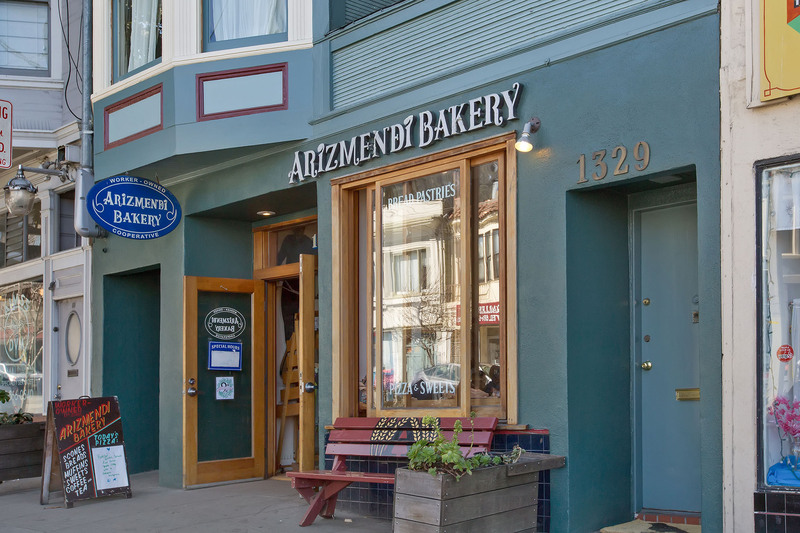 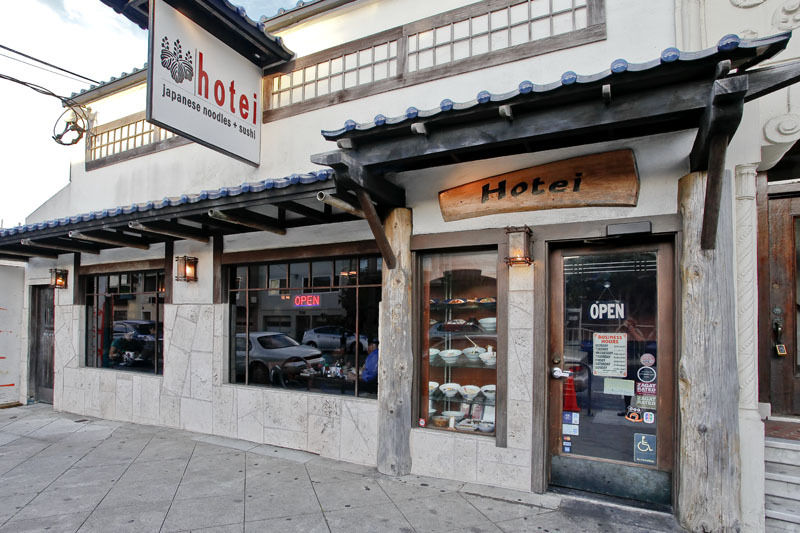 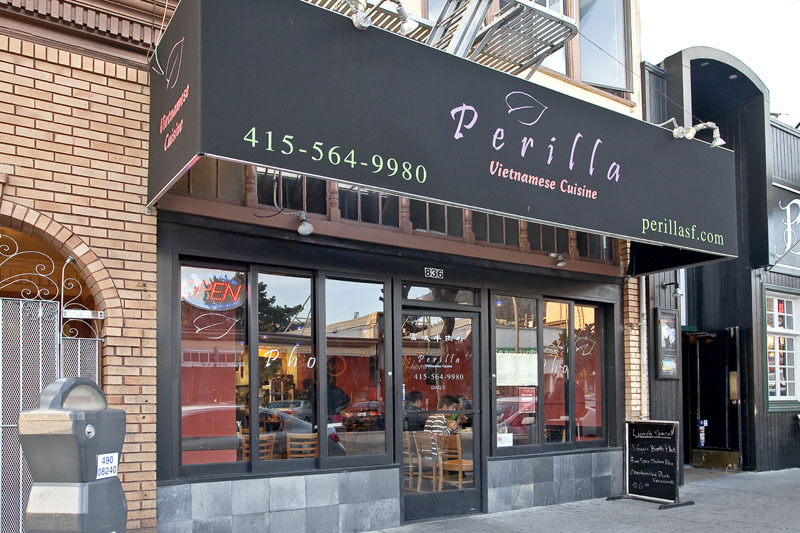 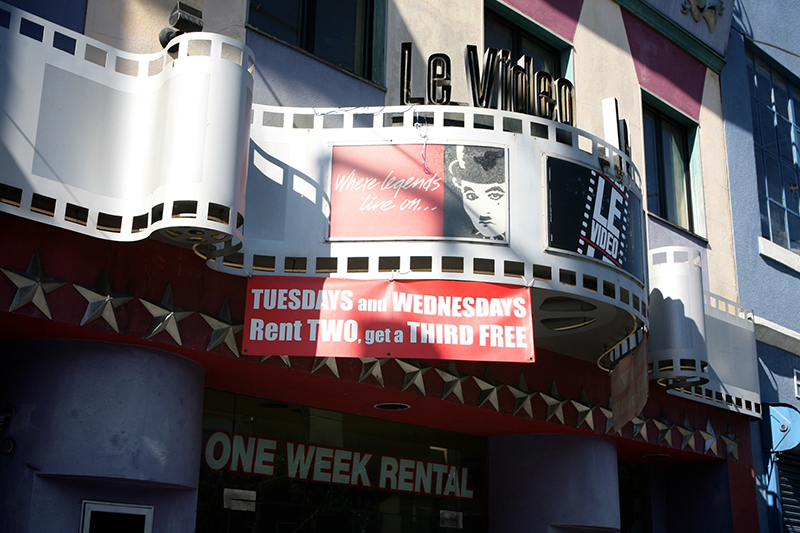 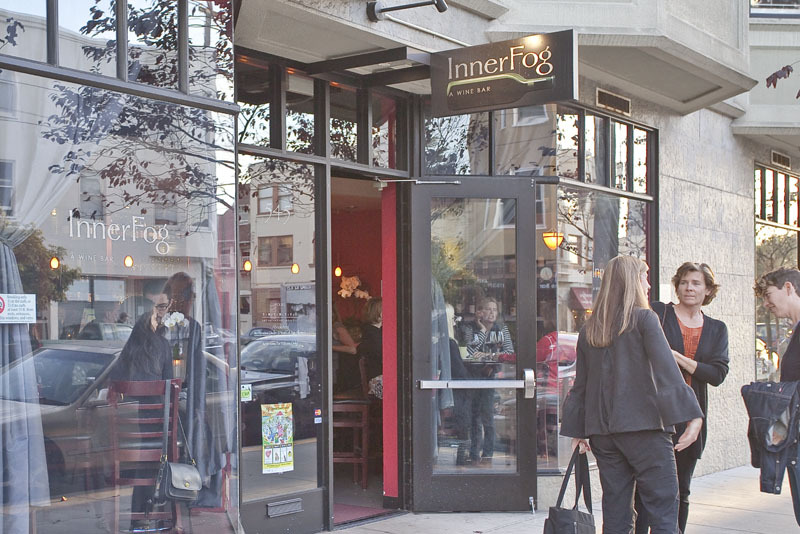 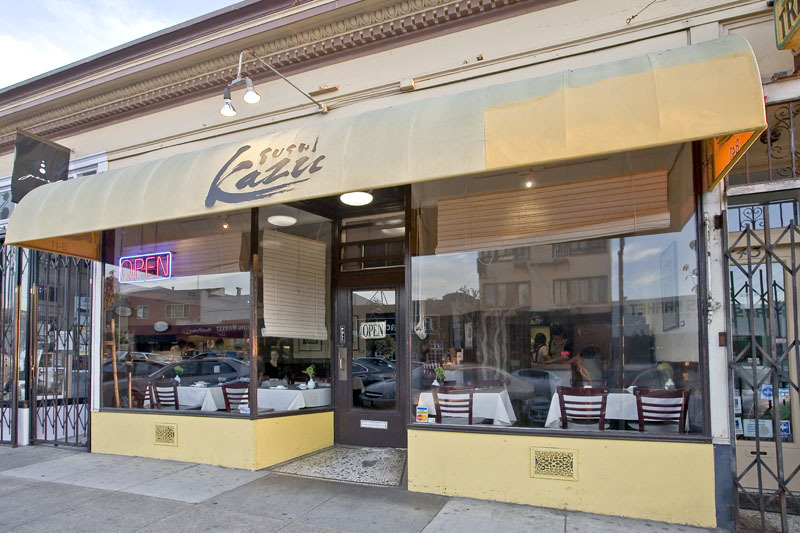 Extraordinary food, a top-rated comedy club, and so much more, imbue the Inner Sunset with the best kind of urban bustle. 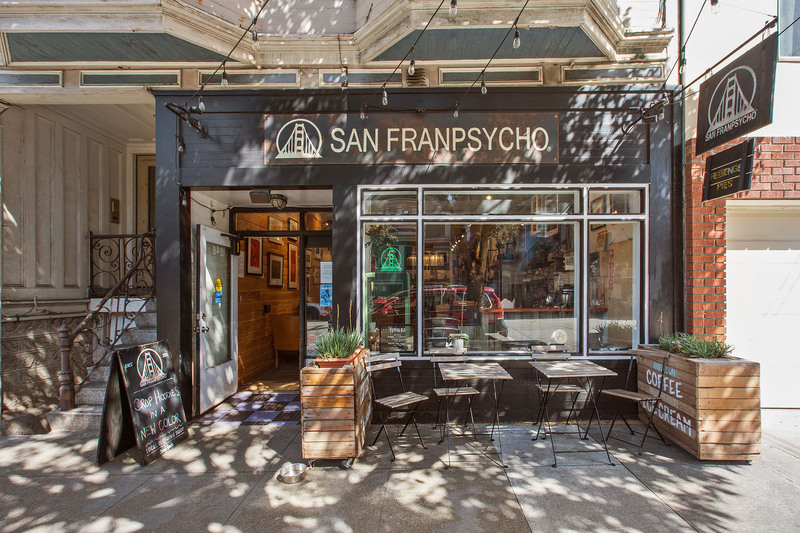 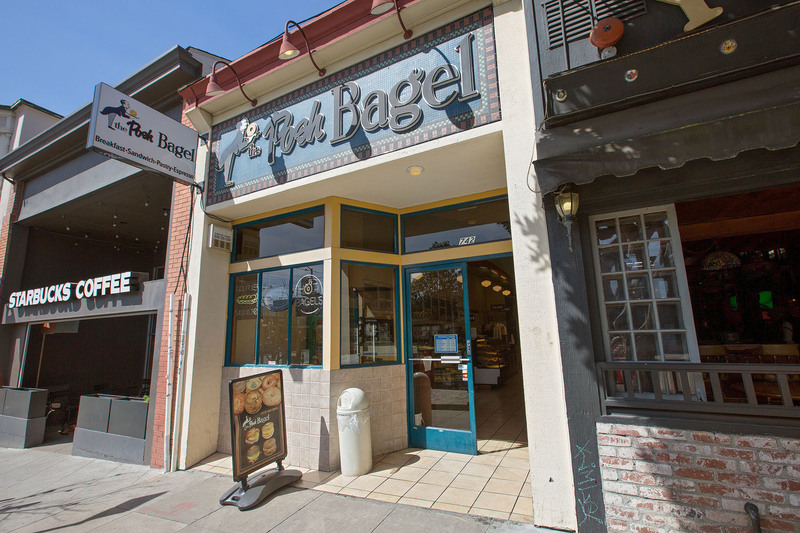 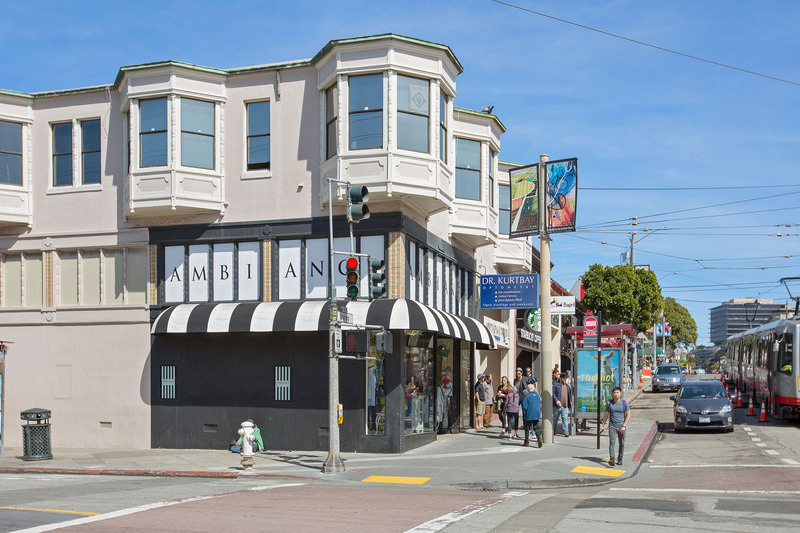 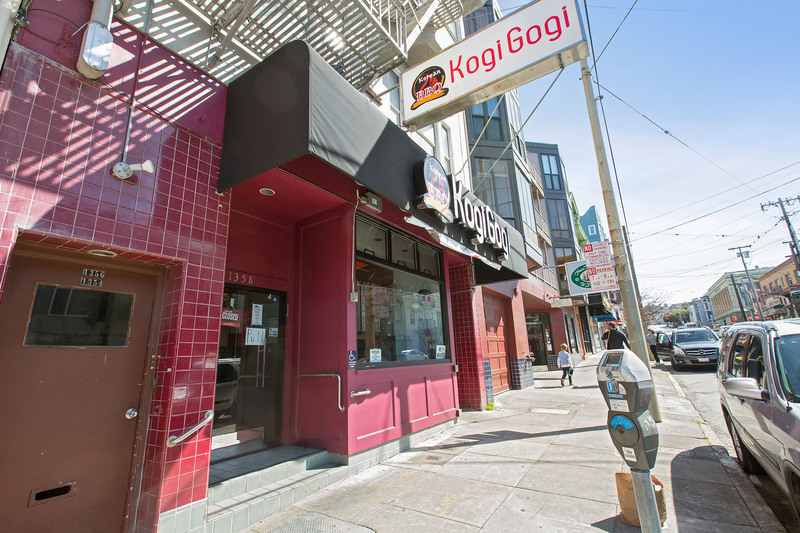 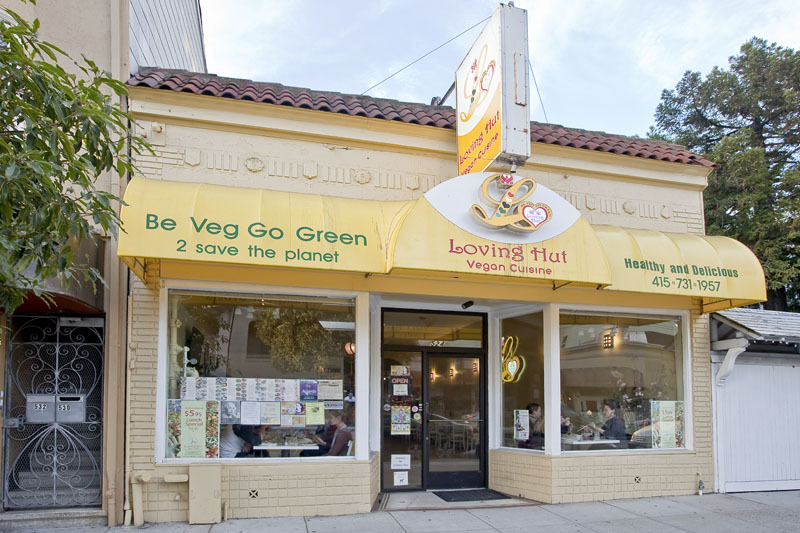 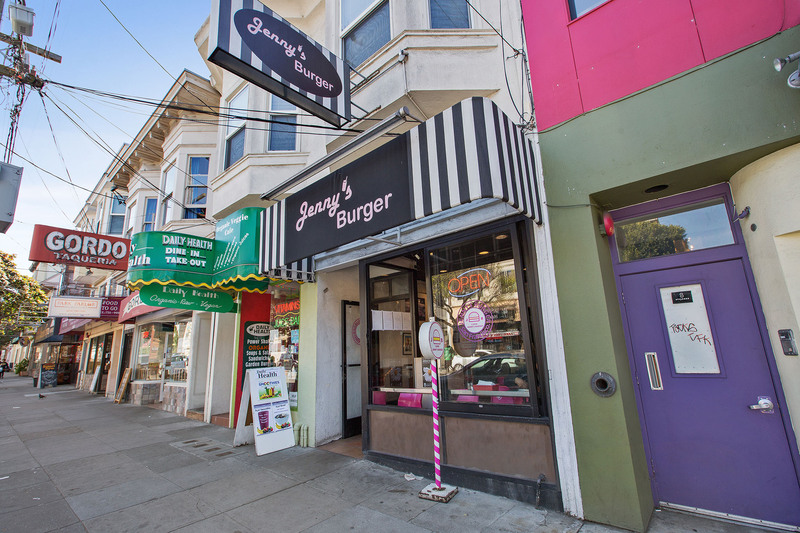 The Haight, a culturally historic grouping of streets, keeps its 1960’s history alive with colorful street performers, and superb eateries lining its quaint blocks. 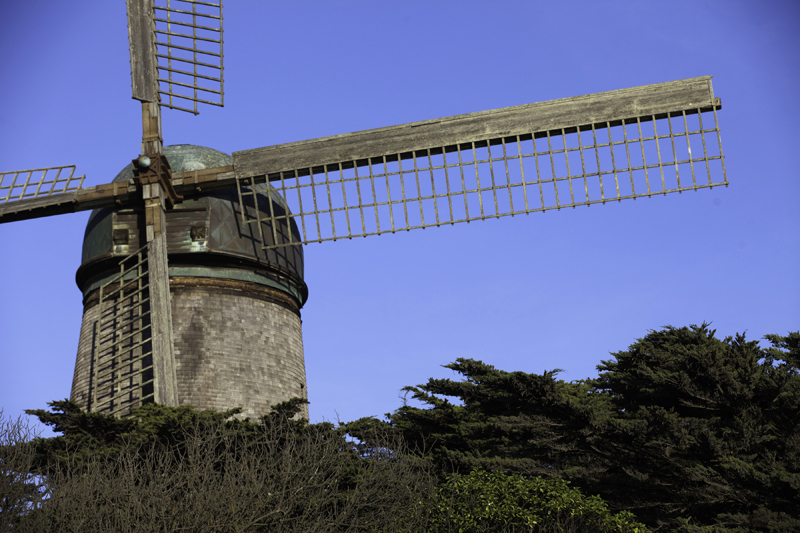 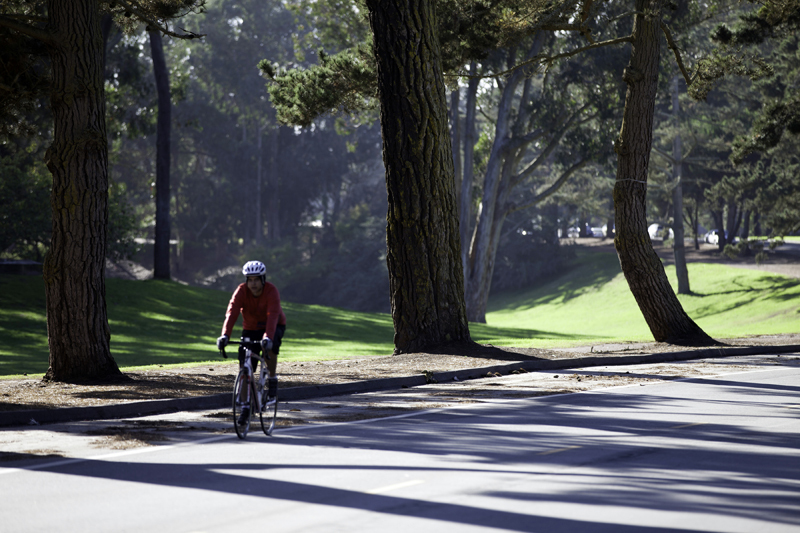 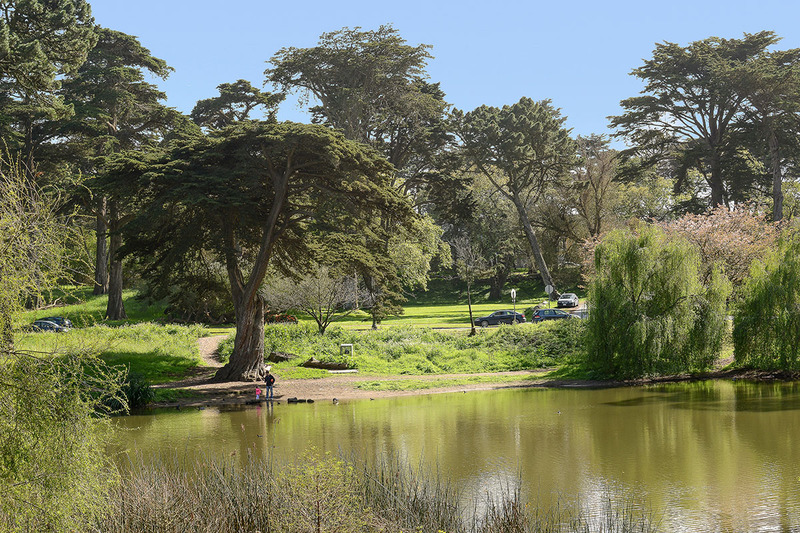 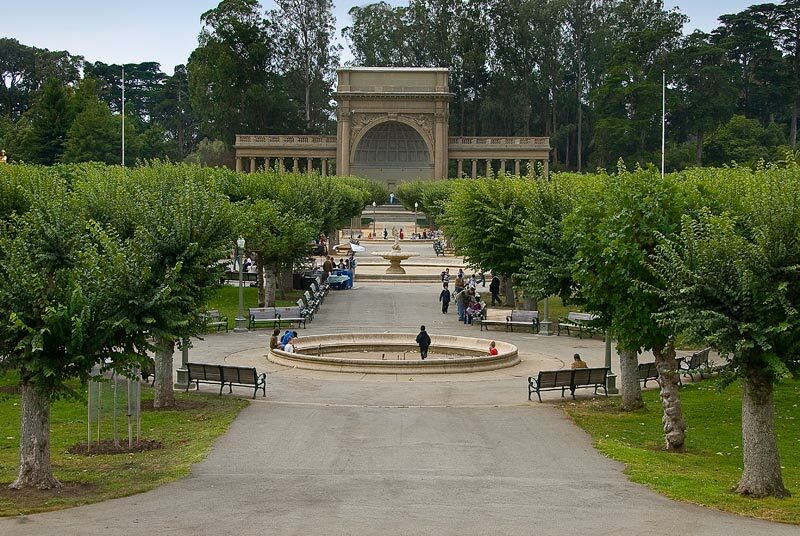 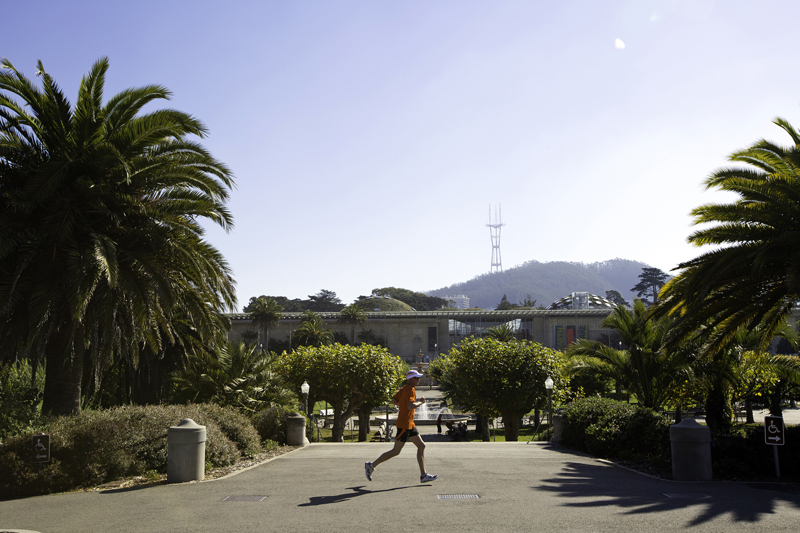 Golden Gate Park, which borders the Inner Sunset to the North, is one of the world’s great city parks. 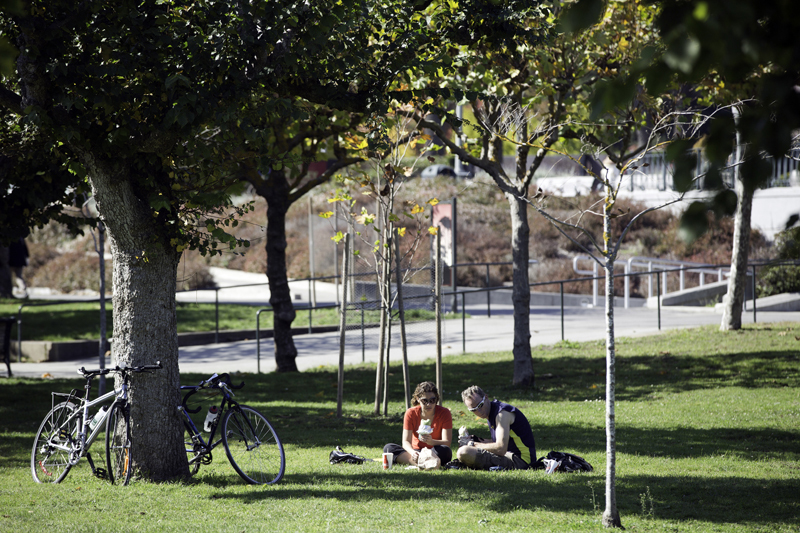 It offers copious hiking and walking paths, world-class museums, fantastic bicycling, and lovely gardens. 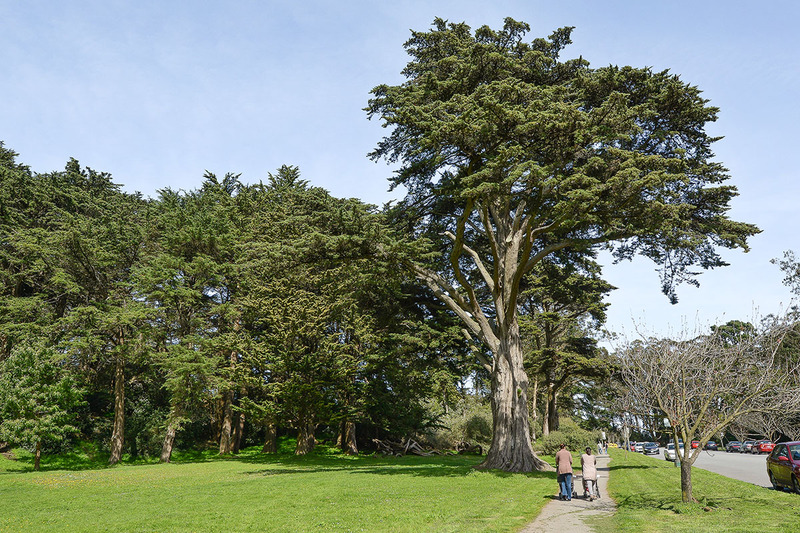 For additional nature walks, UCSF’s Mount Sutro Open Space Preserve has a few delightful forrest strolls past native trees and serene grasses. 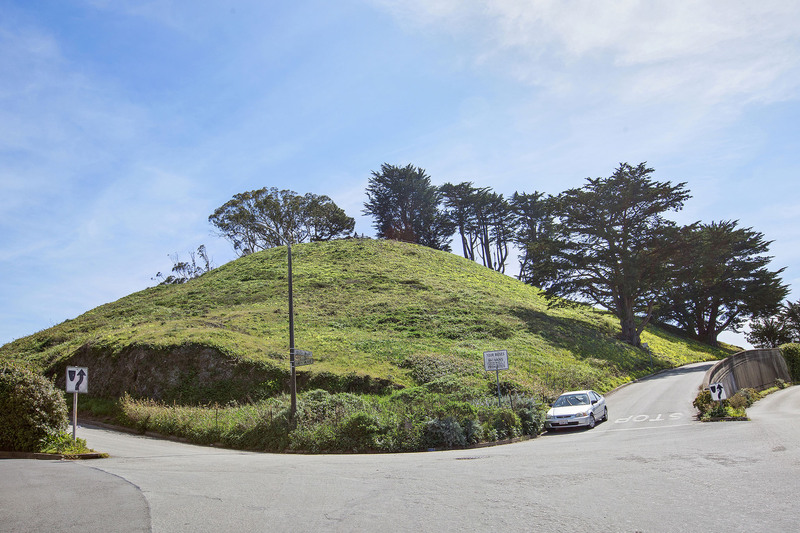 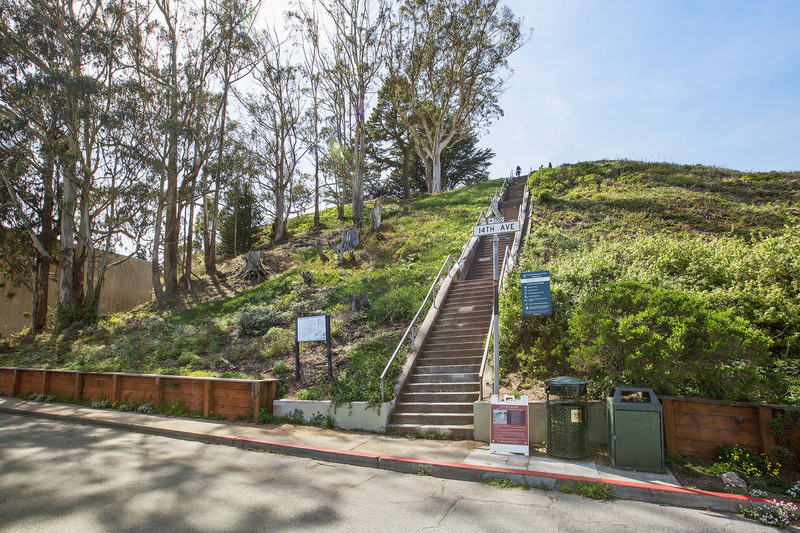 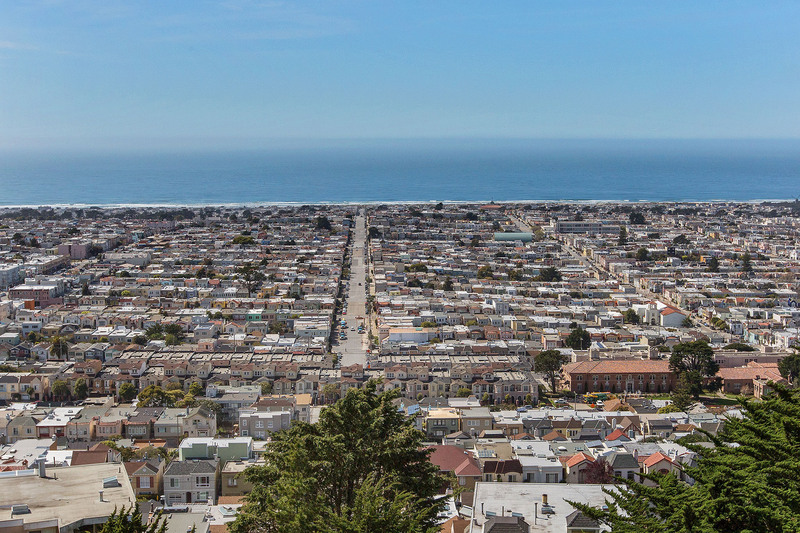 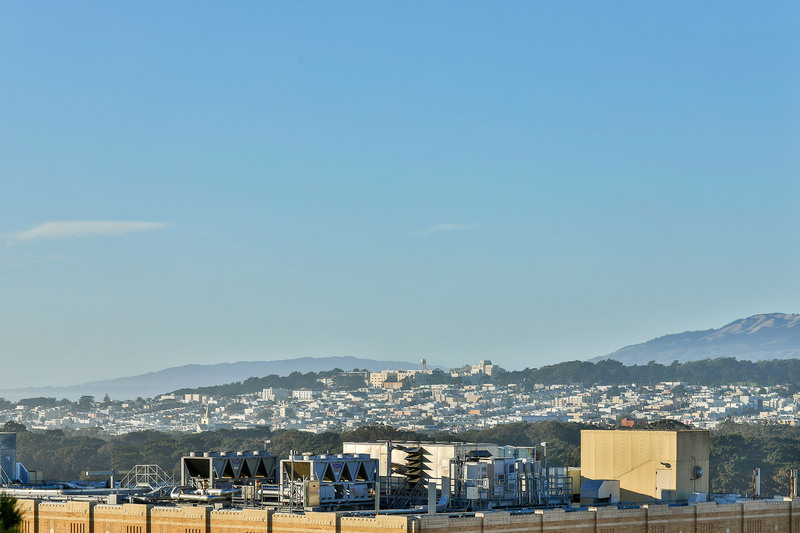 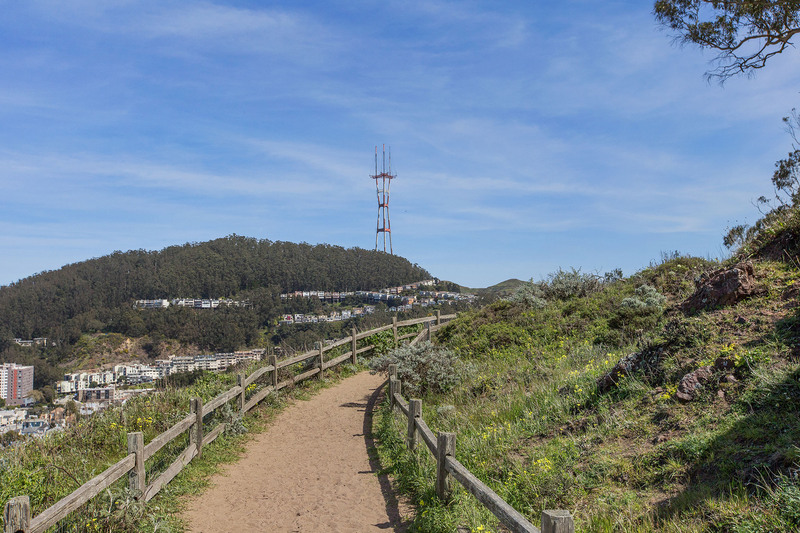 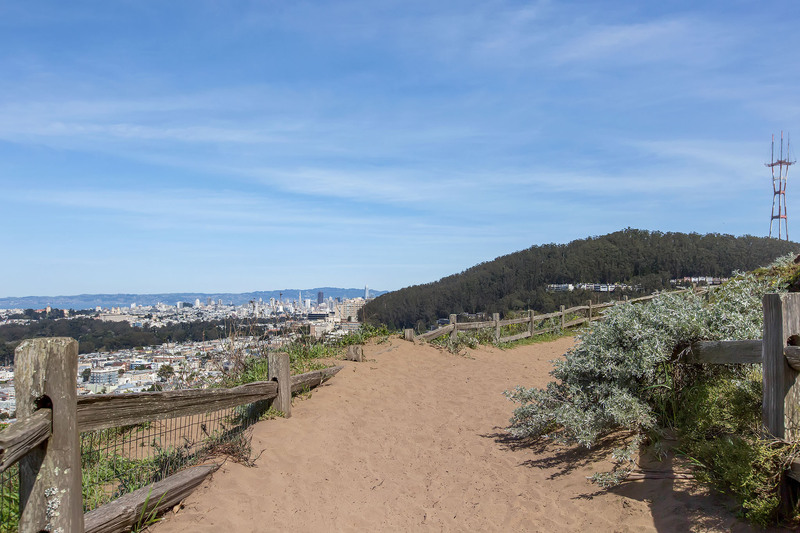 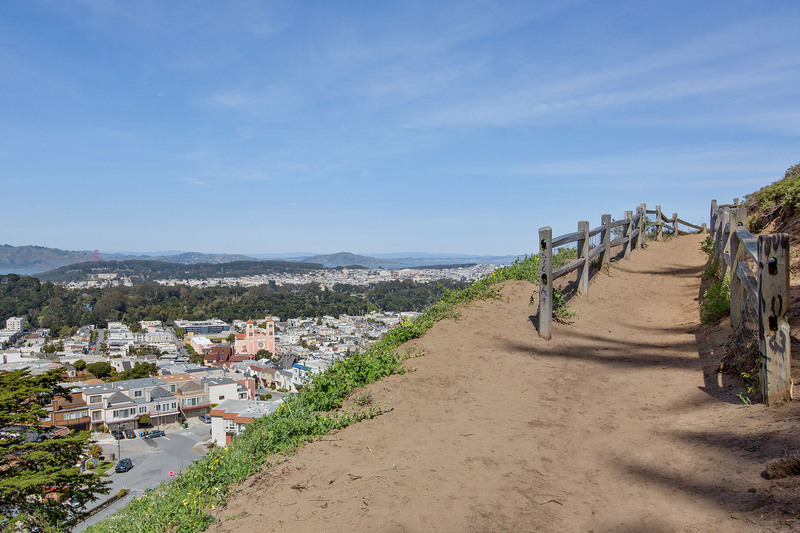 For views, the smaller Grand View Park shows off distant 360 degree expanses, including downtown San Francisco, Golden Gate Park, Pacific Ocean views. 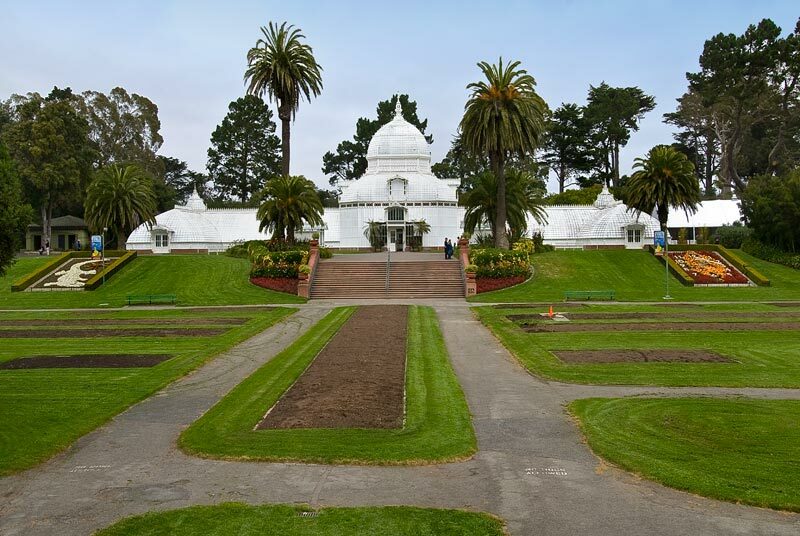 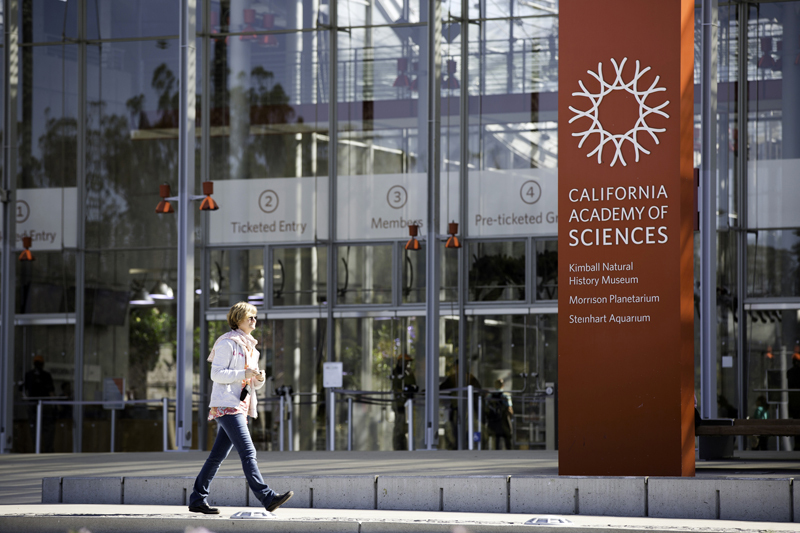 Also at your fingertips is the nationally acclaimed Garden for the Environment. 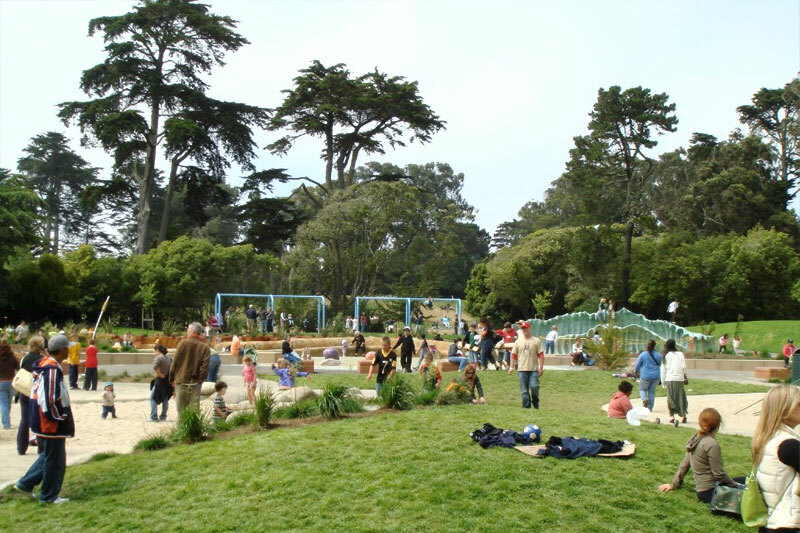 This one-acre urban demonstration garden provides locals with environmental education programs on diverse subjects including sustainable food systems, organic gardening, and urban composting. 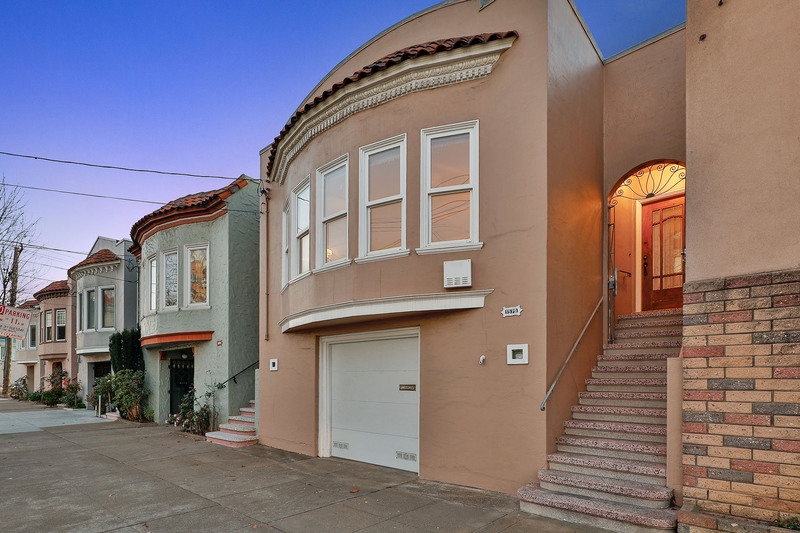 Edwardian era homes line the delightful, quiet streets of the Inner Sunset. 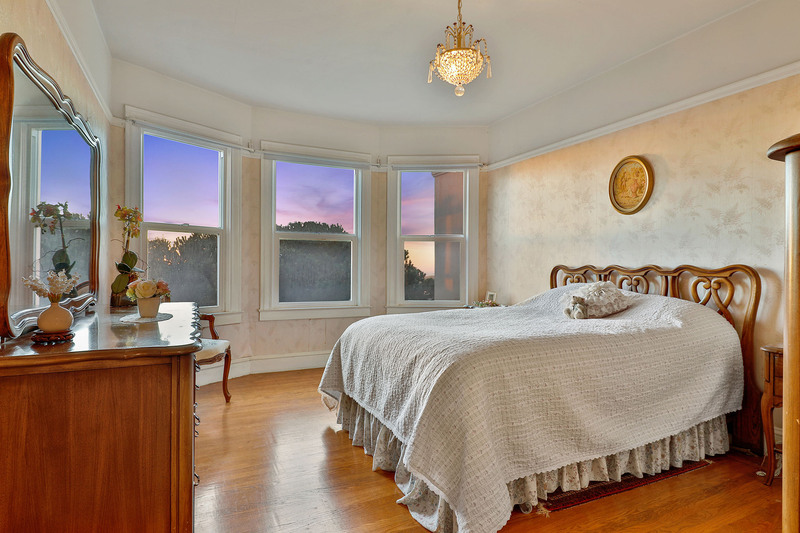 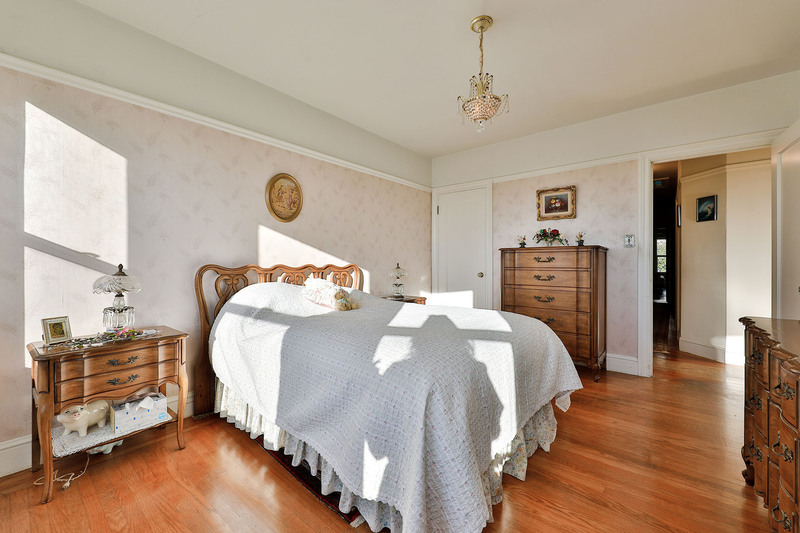 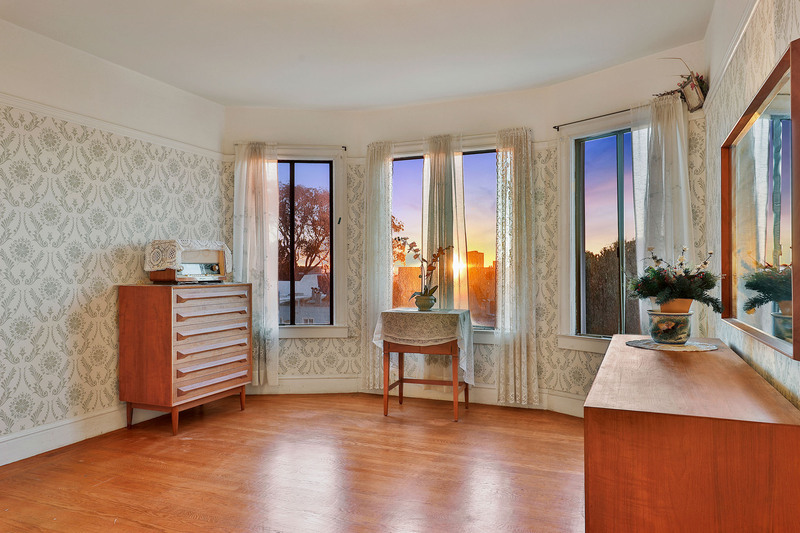 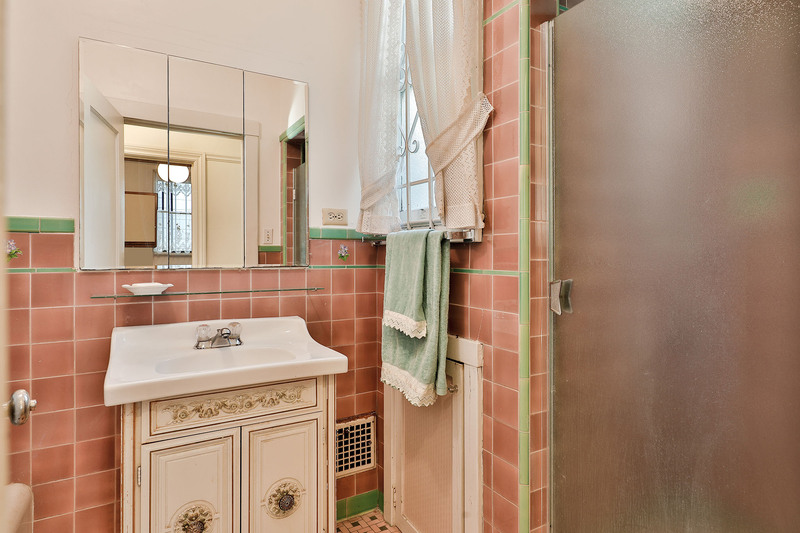 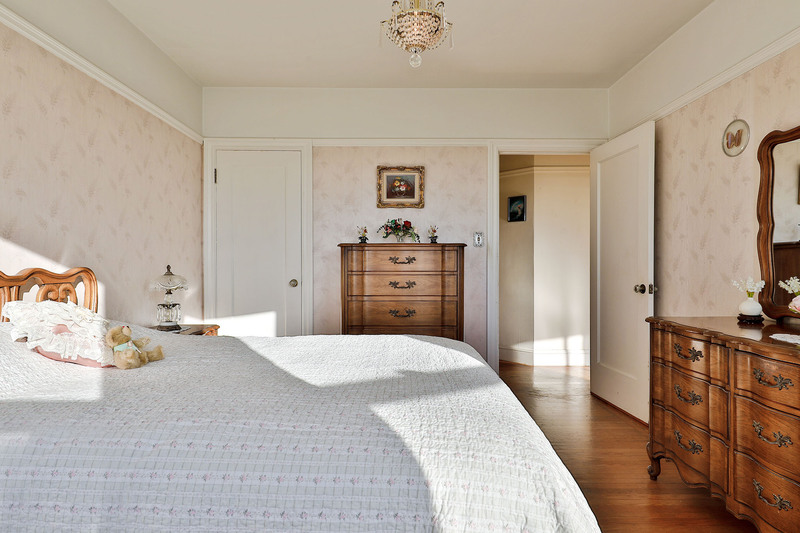 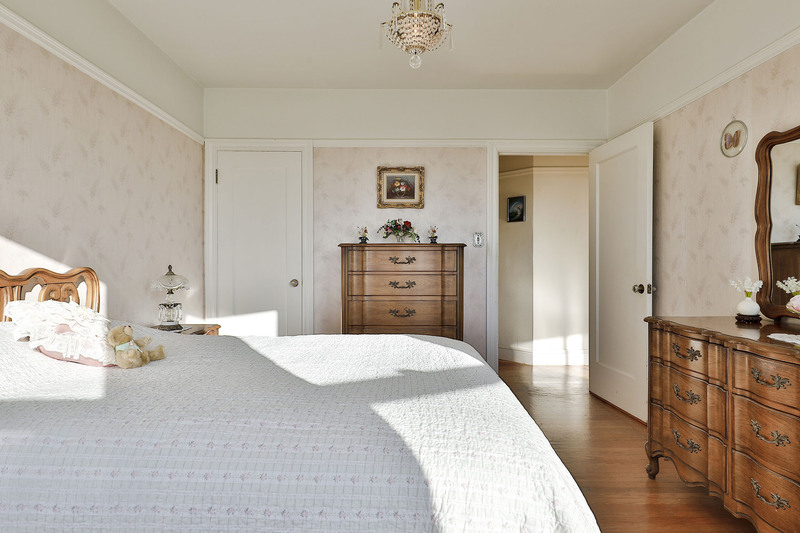 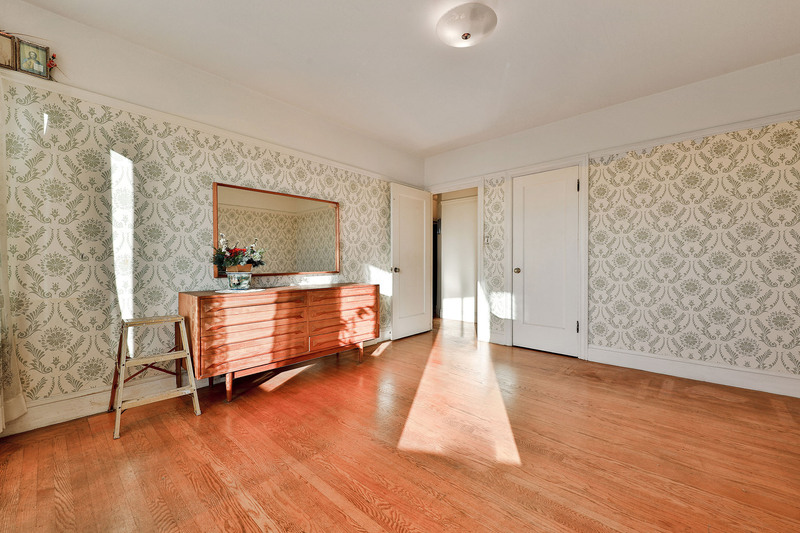 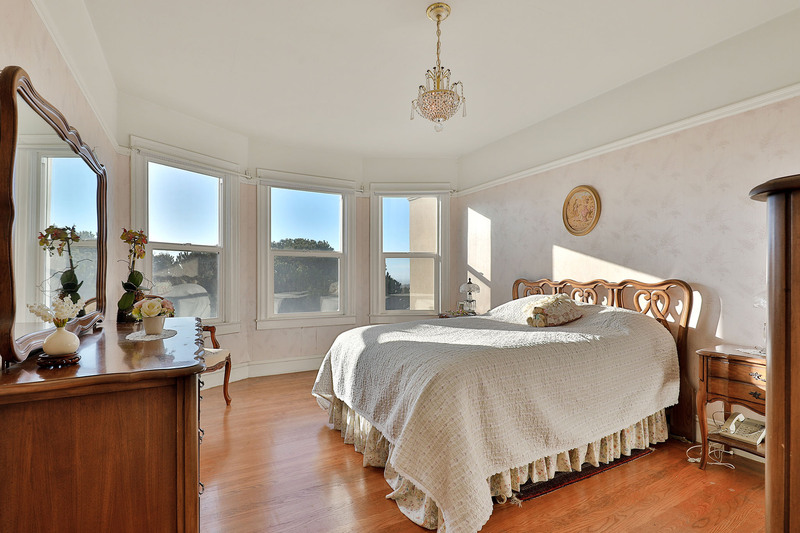 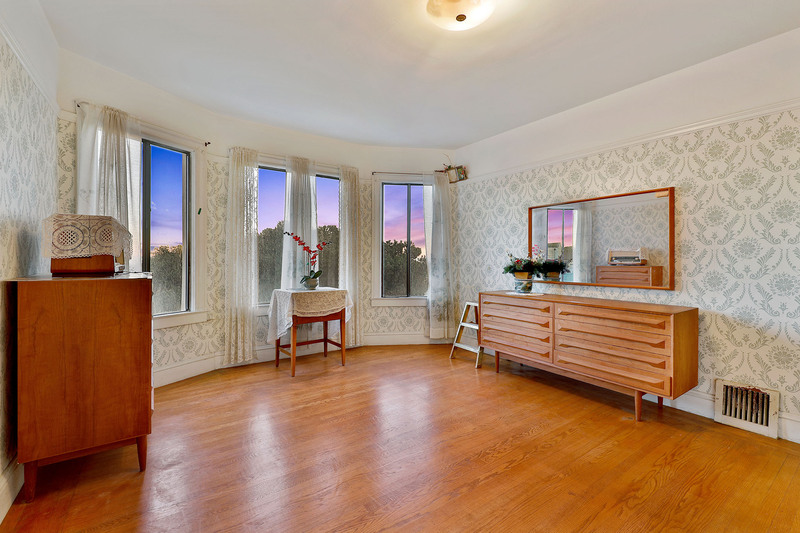 Period details include polished hardwood floors, picture rail moldings, and superbly crafted wainscoting. 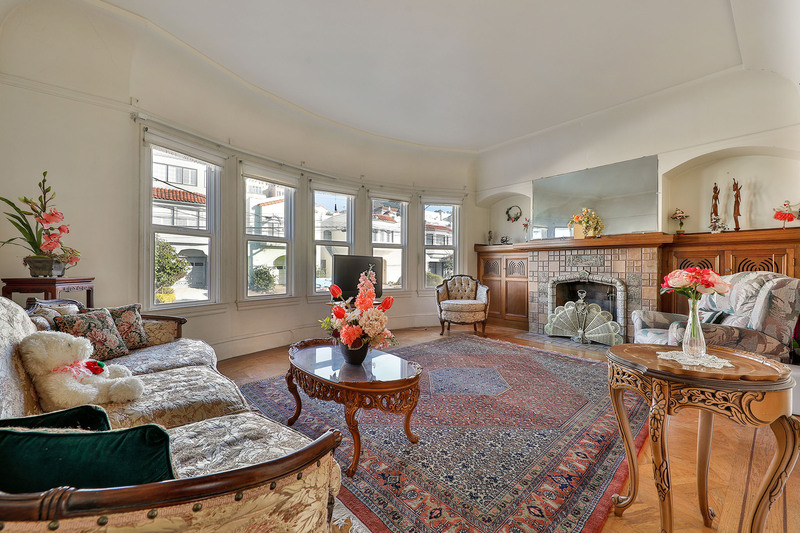 Many boast wood burning fireplaces, formal living and dining rooms, large yards with decks, and essential parking garages. 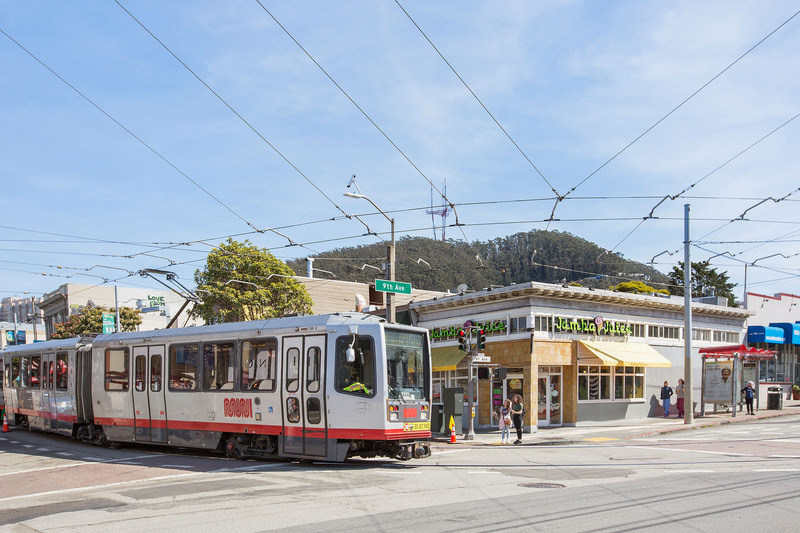 Convenient commuting via Muni make for easy trips to downtown San Francisco.